Dawn McVey has designed a beautiful interpretation of the traditional Christmas poinsettia. With several layers and coordinating dies, it is easy to create custom sizes to accommodate your project, leaving out or adding layers as needed. The sentiments included with it are just fabulous as well! Christmas Poinsettia will be available for sale on October 15th. Christmas Poinsettia contains a total of 14 stamps (1 large poinsettia layer, 1 medium poinsettia layer, 1 small poinsettia layer, 3 centers, 1 leaf and 7 sentiments). I have designed a follow-up to our popular Wonderful Words collection, this one being geared towards the holidays! These three bold word dies can be paired up with the phrases & words in the coordinating stamp set to create dozens of uses. Imagine the large words cut from felt, fabric, fun foam, cork, balsa wood polar fleece and a variety of other materials! Wonderful Words: Holiday stamp set will be available for sale on October 15th. Wonderful Words: Holiday stamp set includes as total of 14 phrase/word stamps. Maile Belles has second new die this month that actually coordinates with the Wine Bottle Tag I introduced a few days ago. This new Tag Sale #5 with it's notched end is simple yet sophisticated and will add just the right touch of class to your projects! The Tag Sale #5 die will be available for sale on October 15th. The Tag Sale #5 die measures 2" x 3-3/4". It is slightly smaller than the Wine Bottle Tag die and they layer on top of one another perfectly. 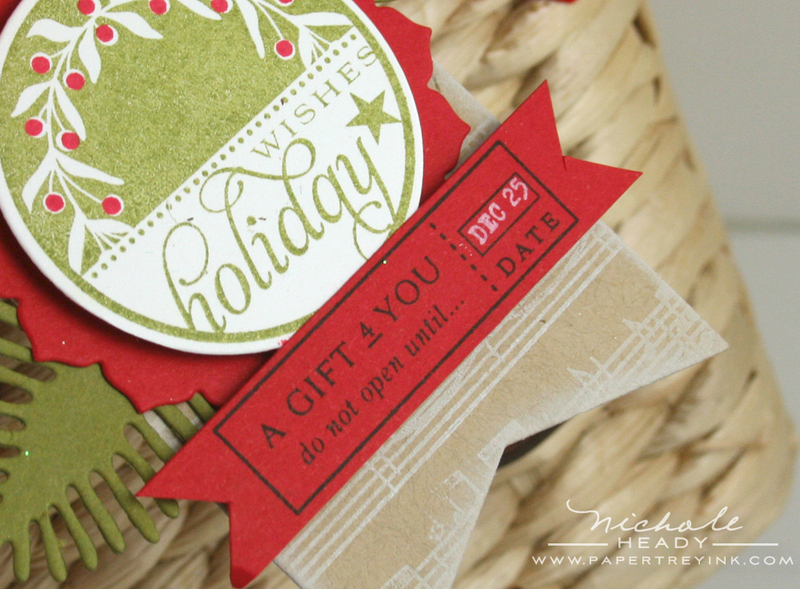 To go along with this new tag die, I have our annual 2011 Holiday Tags set to debut! This year I personally designed all of the tags for this set, and opted for a smaller set of 5 tags to be more budget-friendly. A wonderfully eclectic mix of embellishments for all your holiday boxes and bags. All of the circular images coordinate perfectly with a 1 3/4" standard circle punch and our new Limitless Layers 1 3/4" Circle Die Collection. This product coordination allows you to easily mass produce dozens of tags at a time! But don't let the name fool you, these images don't have to be used just for tags! They also make fabulous focal points for cards and much, much more! 2011 Holiday Tags will be available for sale on October 15th. Each of the circular tags in this set measures 1-1/2" in diameter, allowing them to coordinate well with our Limitless Layers 1.75" Circle dies. First, I thought I would start out with something warm & fuzzy fir the holidays! I created some background paper with Christmas Poinsettia. I started with Autumn Rose cardstock and stamped the medium poinsettia with Scarlet Jewel ink. I then added the centers to the flowers using Smokey Shadow ink. Background Basics: Text Style was added on top of all of this using VersaMark ink. To finish, I swiped some Fresh Snow ink around the edges. New this month we are brining you Smokey Shadow felt. I die cut a piece with the Mega Mat Stack 1 die and then die-cut the word "holiday" from the center. I was sure to keep track of all the letter centers for future use. I die-cut the word "holiday" again, only this time from Autumn Rose felt and carefully embedded it into the negative area of the Smokey Shadow felt. I replaced the Smokey Shadow letter centers where they belonged. Having the two felts together like this creates a really amazing focal point with a lot of texture! I added a Soft Stone sentiment strip that is stamped with the word "greetings" from the Wonderful Words: Holiday stamp set using Smokey Shadow ink. I stitched the edge of the strip in place and trimmed the edge with pinking shears. The opposite end of the sentiment strip was notched with scissors. 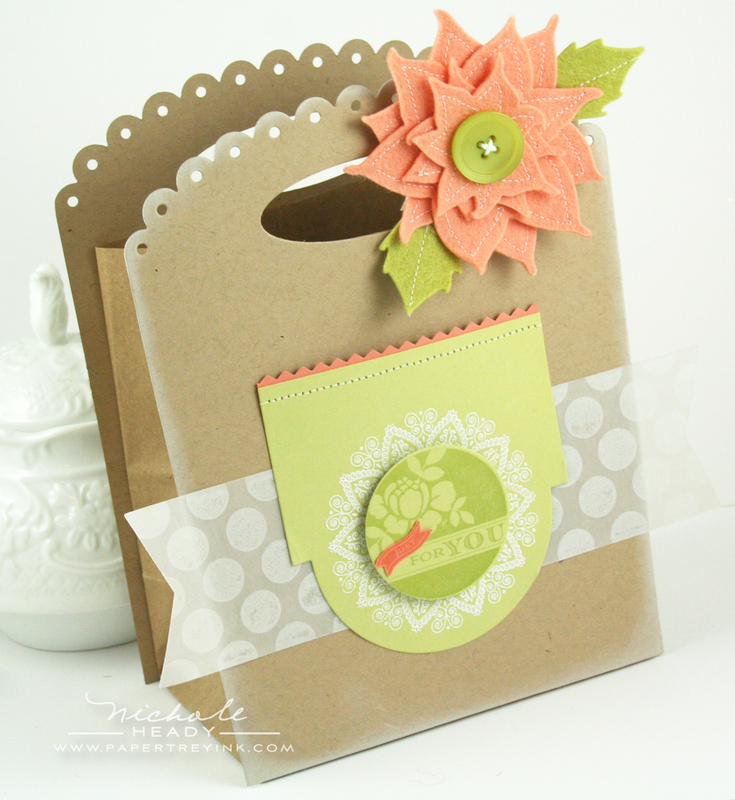 I have another gift bag to share with you today using the new Front & Center #1 die. I added a pocket to the front using the new Mega Mat Stack #3 die, trimming a bit from one end. I also used the new Tag Sale #5 die to create a accent strip for the front of the bag. 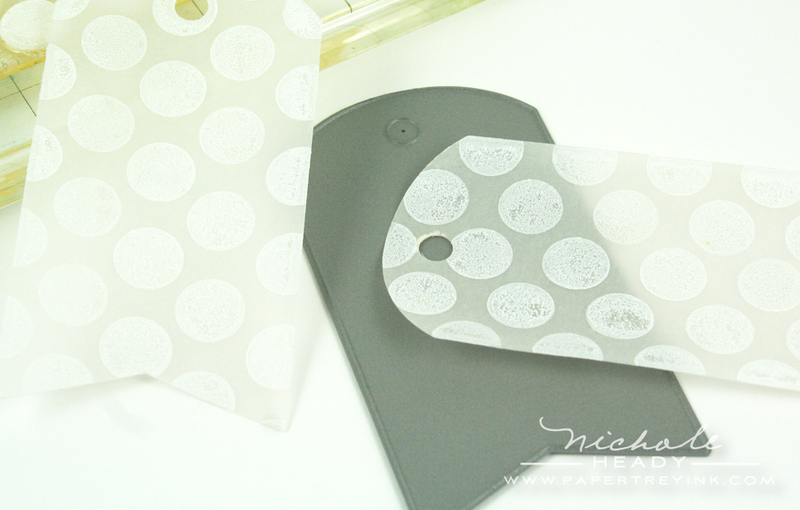 The tags are die-cut from vellum cardstock and stamped with Polka Dot Basics II using Fresh Snow ink. I heat set the ink to speed up drying time. I added a pinked edge to the top edge of the pocket with Melon Berry ink. This little pocket could be used for a gift card, gift receipt or small greeting of some sort. For the focal point, I die-cut a piece of Spring Moss cardstock with the Limitless Layers 1.75" Circle die and stamped it with one of the 2011 Holiday Tags using Simply Chartreuse ink. I stamped the tag a second time onto Melon Berry cardstock with VersaMark ink and cut out the small "just" banner. Underneath the tag, I heat embossed Mehndi Medallion with White Filigree Embossing Powder. It's actually a pin that can be removed by the recipient. Because of the holes in the scallops at the top of the bag front you can put the pin through without damaging the bag in any way. The flower was created with the Christmas Poinsettia die collection. I die-cut each of the flowers twice and stitched around the edges with my sewing machine. I hot-glued all of the layers together, adding a Simply Chartreuse button to the top of the stack as well as some die cut leaves from Simply Chartreuse felt. Now for a special little holiday tag. I die-cut white cardstock with the Limitless Layers 1.75" circle die and stamped the tag image with Ripe Avocado ink. There is a small dot stamp in the 2011 Holiday Tags set that is intended to be used as a "berry" for this wreath tag. I added the berries with Pure Poppy ink. The focal point was matted with another Limitless Layers 1.75" circle, this time in Pure Poppy. I added die-cut Pine Boughs on either side of the focal point. These were cut from Ripe Avocado cardstock. This little label is also part of the 2011 Holiday Tags set. I stamped it in True Black ink onto Pure Poppy cardstock. 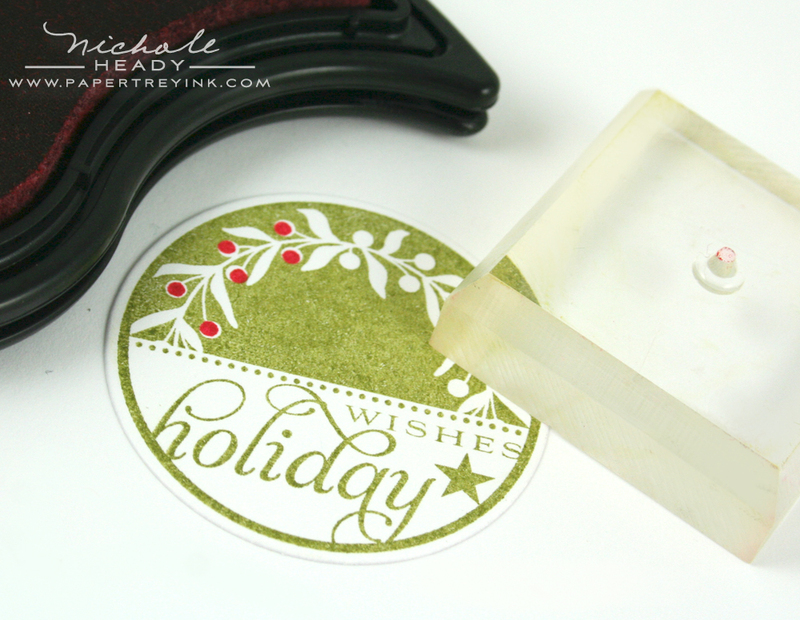 I added the little "Dec. 25th" stamp (also included in 2011 Holiday Tags) with Fresh Snow ink. All of this was mounted onto a die-cut Tag Sale #5 shape, cut from Kraft cardstock. The tag was stamped with Background Basics: Sheet Music using Fresh Snow ink. I have one more Christmas Poinsettia project for you, all pretty in pink. For the poinsettia, I stamped each of the flower layers twice. Each time they were inked with Sweet Blush, with a bit of Raspberry Fizz ink around the edges. The graduated effect combined with the layering create a breathtaking flower. I added the leaves with Spring Moss ink, stamping them a few times without re-inking for an artistic effect. A couple pearls were added to the center. The word "peace" was die-cut from Spring Moss cardstock and adhered to the card front with foam dimensionals. I added the companion phrase (from Wonderful Words: Holiday) at the bottom with Smokey Shadow ink. Now that I have shared a few of my creations with you, let me show you the magic that the Design Team has created with this set! I hope you have enjoyed all of the projects that both myself and the team have prepared for you today! As you can see, these new products can be combined in amazing ways! We would love to hear your initial thoughts on all that was introduced today! Is there anything in particular that has caught your eye? An image that might bring back memories of the past for you? You could have a chance to win an amazing prize package just for taking the time to share your thoughts with us! You have until 11:30pm EST tonight, Friday, October 14th to leave your comment and be eligible to win. Only one comment per person please. One randomly selected winner will be announced by noon the same day on our October 2011 Release Winners page. Thank you for stopping by today and best of luck with the contest! Maile Belles has more Wine Bottle Tag fun for you today! FINISHED SIZE: 5-3/4" x 7-1/2"
FINISHED SIZE: 2" x 3-3/4"
What fantastic sets that you have shown us tonight. I love all of them! This week has been amazing! The Xmas wish list just grew! Wow! So many goodies in one month. Hard choices to make..but love every bit! What a wonderful line up of products. How will I ever choose between all this fabulousness? And I told myself no more Christmas stamps..haha. Who was I trying to kid? Another great release. Love the word dies, and the projects you made with the Poinsettias. Great prize package! This is the poinsettia set I’ve been waiting for. I love it! We have a summer Christmas in SA so the poinsettia is perfect. 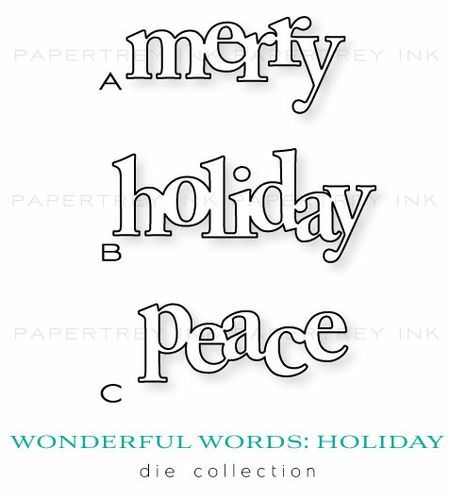 I love the Holiday Words too…the font is gorgeous! The word dies and the holiday tags are wonderful…as always. I am in awe of all these beautiful dies PTI keeps coming out with! 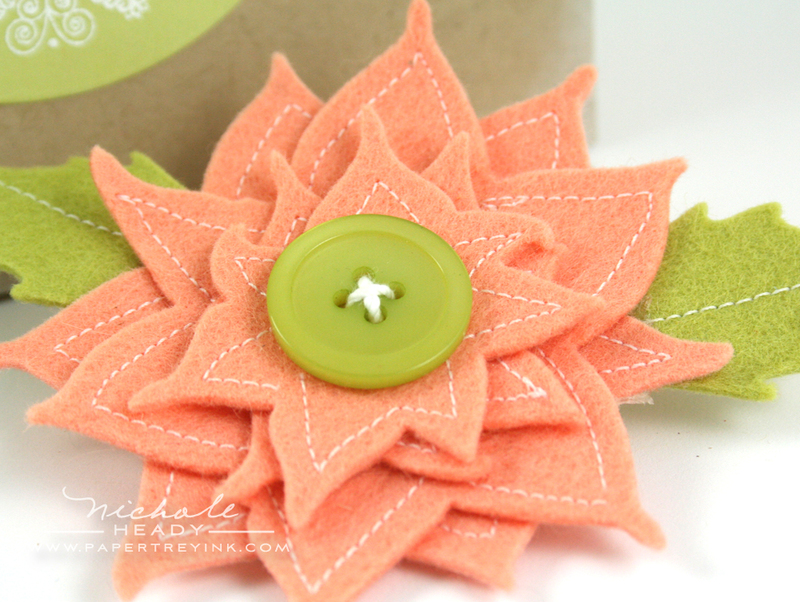 I adore the poinsettia dies and the felt projects you’ve shown us here. 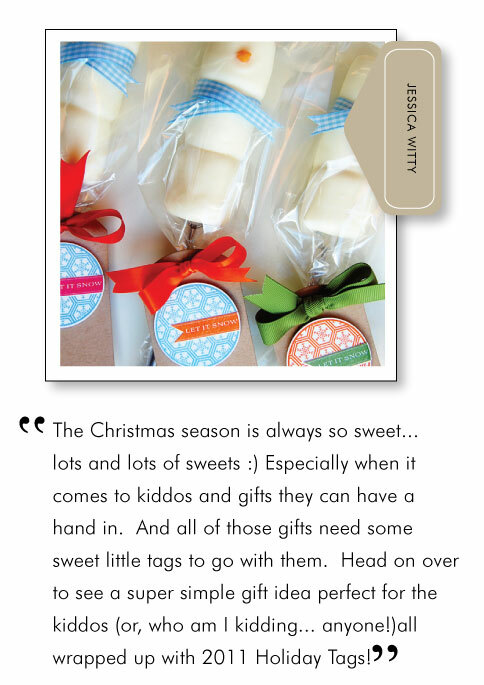 Love the word dies and holiday tags! The poinsettia is beautiful! THis is going to be such a great release…can’t wait! This is another amazing release! I’m really looking forward to making tags this year. And INK! I’ve been waiting eagerly for the return of PTI ink in the new and improved formula, and can’t wait to try out the new shape. Everything is wonderful. Am anxious to see the Wonderful Words Holiday stamps and Holiday Tags stamps all together for my final decision. I am love, love, LOVING that poinsettia set! I can’t wait to get my hands on it! This month is so amazing, all the new dies and the DT for their wonderful ideas! This release is just unbelievably terrific! Just when I think I’ve seen the best, it gets even better! I am just going to enjoy the heck out of the word dies and the new holiday stamp set! As always, the projects shared are beautiful! Absolute love the holiday addition to the Wonderful Words line-up. Dawn’s poinsettia set and companion dies make absolutely stunning creations. 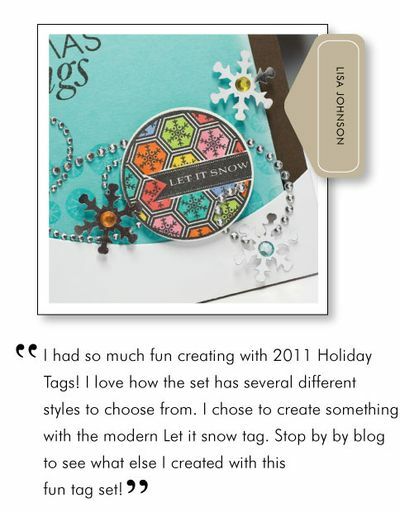 Love the design of the new tag sale die and the new additons to the holiday tag line-up. By my count there are 28 new things to choose from this month between stamp sets and dies, not to mention the gorgeous new ink dyes. What’s a girl trying to be on a budget supposed to do. LOL! Just an overwhelmingly inspiring release this month. It’s a good thing that I don’t limit myself on how many Christmas stamps I’m allowed to own! Those word dies are amazing and must be mine! And plenty of other things to go along with them, of course. I can’t wait to hop around to the design team and see what they’ve made! Another great day of release projects! Truly inspiring! I appreciate the affordability of the 2011 tags set, too. Can’t wait to start creating some holiday fun with these amazing new additions. All projects are fab as always. Love the poinsettia set and the Wonderful Word dies….. Brilliant! The dies are my favourite- they are just itching to be let loose on my patterned paper scraps! The holiday tags are awesome and I love the poinsettia dies. The pointsettia dies and images are beautiful and I always look forward to the newest Holiday Tags sets. The holiday word dies are perfect with the gift bag die. Lots of fun stuff! This is such a wonderful release!! I am so excited for the poinsettia dies and the wonderful words … how fun! This was the perfect reward for me finishing up writing all the report cards. Thank you so much for all your hard work! Off to hop on to look at the other blogs!! I’m always excited to see the new Holiday Tag set and I’m lovin’ what I’ve seen so far. The tag sets are just so versatile………love em! And that new Tag shape, Tag Sale #5. I can’t wait to get my hands on that. I am always excited about the holiday tag release. There are always so many useful and wonderful images for super quick, last minute projects in the set. And the holiday words look fantastic! So many ideas, so little time. I love every single item in this post! I love your use of the poinsettia stamp and die. I can’t wait to get my hands on the wonderful words. So much inspiration! So much amazing inspiration!! !I love what you and your DT did! Beautiful new release! so much great stuff this month, can’t wait to make some pretty layered poinsettias with those dies! Love the new word dies! Great release! I really like the words die! Very convenient for those who don’t have a cricut or silhouette! So happy the new inks are finally here! And I like the new shape of the pad. The dies are fantastic .. they are my favorite! This is going to be another great release! What an amazing release!! 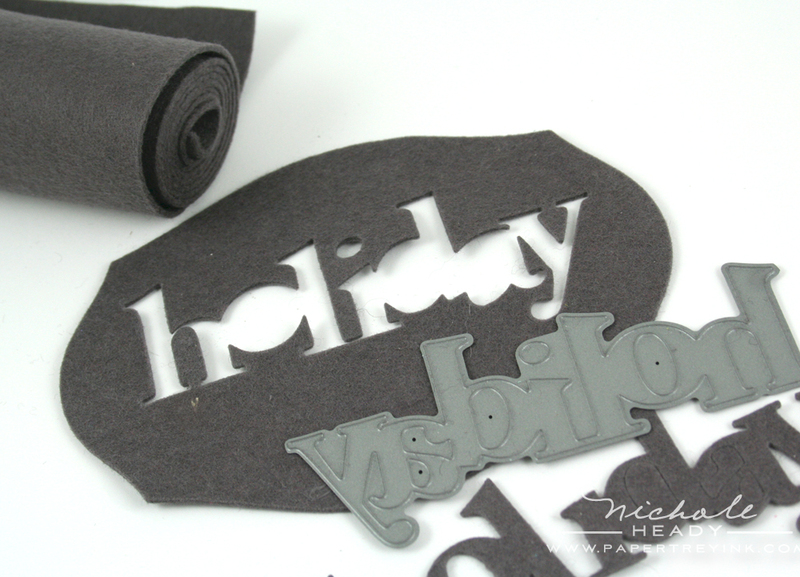 I adore that poinsettia die and can’t wait to get the smokey shadow felt! Oh, and the new ink – wow!! Brilliant idea with the wonderful words in the felt! So many great things to choose from this month. Thanks for the chance to win! Love the poinsettias! Thanks for the giveaway! I love poinsettias and can’t wait to get my hands on those dies and the coordinating stamp set. I’m also super excited about the wonderful words and holiday word dies. What Fun!! Can’t wait to get started on my Christmas cards and tags! Love it! This month has to be one out of the box! All of the stamp sets are amazing and the dies fabulous. My absolute favourite project is Erin’s magnetic snowman – I will just have to make this for my nephews. Thank you for all of your inspirational work this month. Cant wait to place my order tomorrow. It’s beginning to look a lot like Christmas – or it will once I get my hands on these lovelies and start crafting! I want everything. And I thought this month I wouldn’t buy anything. huh, wrong again. I love the poinsettia dies…the felt flowers made from them are so pretty. It’s a definite must have! Beautiful! 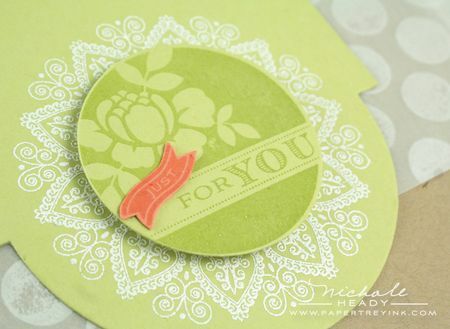 Love the poinsettia stamps & dies – just gorgeous. The new word dies – must haves for the season. All projects were awesome – as always. TFS. Love the 2011 edition of the Holiday Tags set. I also really love the bold font you chose for the Wonderful Words: Holiday set. The poinsettia dies and stamps are so lovely! The big bold wonderful words are great too. I think I am going to have to talk my husband into getting me an early birthday present…..and it’s all going to be the gorgeous products from this month’s release. I LOVE the Wonderful Words set, and those Holiday Tags are calling my name! No Christmas season goes by without me buying lots of poinsettias, but only red ones. I love them, they’re so cheerful. So I really like the fact that you come out with a stamp and a die. Felt pointsettias, wonderful! Love the soft colors on the Peace on Earth card. Looking forward to the release tomorrow night – thank goodness the next day is a Saturday. Love all these new releases especially the wonderful words dies. Such festive fun! I love the wonderful word dies and especially the size of the poinsettia! It’s perfect! Congrats on another amazing design release! I love that felt word creation! The wonderful words are great and so are the poinsettia stamps/dies and the new inks wound like good value for money. Needless to say I would LOVE to win this lot! Really loving all the great dies. All the projects with felt are fab. Oh wow, love the holiday tags and the poinsettas & dies are amazing! Another jaw dropping release – you guys never cease to amaze me! Fantastic ideas – can’t wait to recreate some of these, and love the dies! Wow, this is such a big, awesome holiday release! I can’t wait until tomorrow! Dawn’s poinsettia die is just amazing! 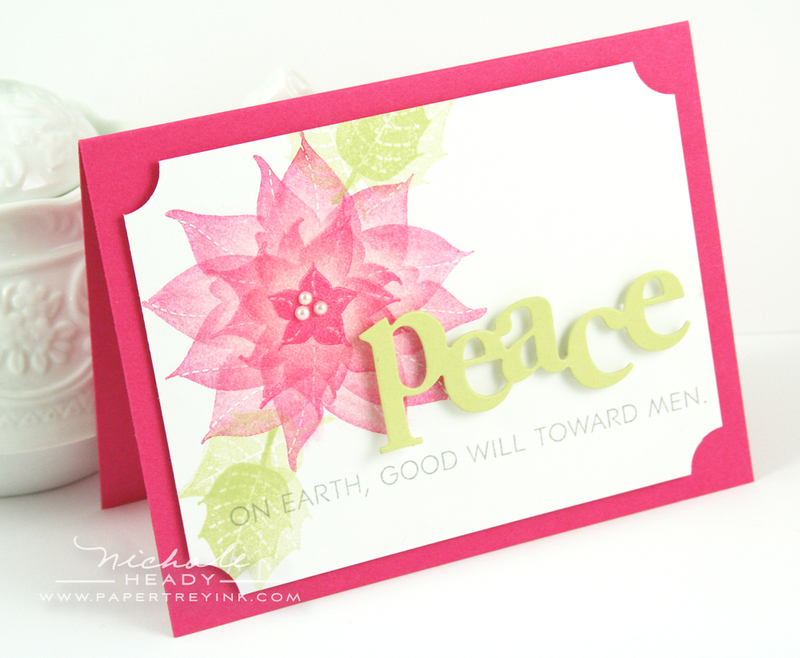 Love your Peace/Poinsettia card in pink. Oh my goodness. Everything in this release is incredible. I love it all. I particularly love the gift bag and poinsettia pin you made. Beautiful. And I’m so excited that the new ink pads are finally here. Hooray! Ohhh…I think my favorites are the Wonderful Words die collection and the Christmas Poinsettia stamp set and die collection. Your cards are just lovely Nichole! Thanks for sharing and the chance to win! Wow, embedding one felt color in another really does make it pop! I’m so excited about the new inks. Can’t wait to try them. Love all your projects, Nichole and DT. The way you layered the pink felt in the gray felt is the coolest thing I’ve all week! Love all the new dies – the word dies are my favorites, I think. What a lovely set of Christmas stamps & dies released today – I could imagine using lots of those in so many ways! Wow…. some amazingly creative designs and wonderful tags, cards and gifts! 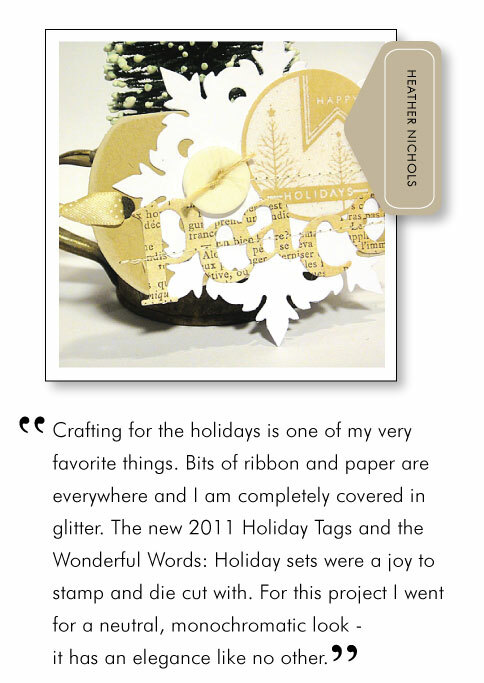 I’m loving the holiday word dies and the holiday tags! I can’t wait to see the full releases this month, not to mention the inks…I’m so excited!!! Thank you for the chance to win. I would be delighted to have the opportunity to replicate the DT’s projects for friends’ and family’s cards and gifts. Oh I LOVE the dies and the stamp sets s for this release! You’d think I have enough Christmas stamps but…you’ve convinced me otherwise. =) Beautiful projects from all the DT’s too. Love the Holiday Tags, a real must have!!!! WOW I am in serious trouble now! what wonderful projects you have shown us today, The PTI design team is the best enabler ever!!! I am such a sucker for a good die, LOL! These are absolutely wonderful and I’m bowled over by the many different uses for all these amazing dies. Gorgeous! As I said in the past , Christmas cards are my favorite to do and with all these products they’ll be even more. That poinsettia pin is wonderful. I can’t believe the beauty you have all created! The cards, tags and assorted projects made are all So Breath taking and Beautiful. All are Gorgeous, glorious, works of Art! I don’t want to do with out any of it……So Please Pick Me to Win!!!! These are all so fun and pretty!! Enjoyed visiting all the girls blogs to see their fantastic projects! Oh, wauw! I love the wonderful words ‘regular’ set and these bold words for the holidays are so perfect!!! Very, very nice! Sooo many possibilities for these! And the poinsetta is really beautiful! Love this month’s release! I’ve never seen to many gorgeous holiday stamps together!!! The dies are really catching my attention…love the poinsettias and the Wonderful Words. I just love the new dies! I think I get more excited every month over the dies! Thank you for branching out to do them. ohhhh love those word dies…..and with felt!!! love it!!! thanks for sharing so many ideas!!!! This release is so super ..all the projects so gorgeous..thank you all so much for the inspiration! Can’t wait for the launch tomorrow !! Wow! Love the new tag set! The dies are amazing too and I have to say it, I can’t wait to get my hands on the new ink! Oh my! Love love love the project esp. wonderful word die! the ink pad is so unique to the industry! very well thought! love it. Love smokey shadow so I can’t wait to get my hands on the felt!!!! wow !you ladies never cease to amaze me! more awesome stuff!HUGS! I am excited about many of the products this release–but at the top of my list is the Wonderful Words: Holiday dies and stamp set. This is a fabulous release, and I’m having a very hard time narrowing to my budget. I love the poinsettia and all those dies are amazing!! wow! that poinsettia you put on a pin is breathtaking! Still loving the front and center die! This all looks very adorable, my favourite this month. I really liked the gift card bag with the pocket in front for the card. It would make giving a gift card a little more fun by the goodies you put in the bag. What beautiful sets! It will be hard to make a decision tomorrow. I love the poinsettia set and dies and all of the beautiful felt projects that have been made with them. Thank you for a great month! *sigh* I’m in love… Those dies, the tags, the creations you’ve made… I’m smitten! *sigh* I think these will have to be an early x-mas gift for me (at least that’s what I’ll tell my hubby). Another amazing release! I am absolutely in love with the poinsettia set, so many possibilities! Can’t wait to get my hands on! Again, the DT did a super amazing job!!!! I love the word dies. They look like so much fun!! It will be so hard to make choices this month because everything is really so wonderful. LOVE Christmas!!! This is a great release. I love the new 2011 tags and the poinsettia is wonderful. Cant´wait to try the new ink dyes. I love the felt poinsettia flower! What a great idea for a little add-on gift. What an amazing release. I can’t get over the talent shown and the versatility of the stamp sets. True PTI goodies..
I’m so excited for the inks!!! I don’t have substitutes for pure poppy or aqua mist, so I’m definitely getting those with my order. Peaceful Poinsettia has been on my list since day 1. Can’t wait for full reveal tonight! Lovely products Nichole and team!!! The good stuff just keep growing! Fantastic designs! My favorite release of the year! The decisions are going to be tough tonight! And YAY!!! Inks are back…can.not.wait.to.try.them! I’m really lovin’ all of the dies. Can hardly wait to make my order! So glad to see the word dies, especially for “peace”. I am a big maker of tags all year long, so I am excited about another tag shape. Can’t wait for the release. I love Wonderful Words, and this holiday edition is equally wonderful; love the font! The poinsettia is just stunning. Another great release! How many days in a row am I allowed to say that I absolutely love everything?!?! As someone who will never be able to get a Slice or the like, the Wonderful Words Holiday die collection is pure awesomeness! I love what you have done with the felt. love the new word dies!! awesome projects today!! I found PTI after the inks had been discontinued. I’m excited that I’ll have matching ink for the first time. I loved seeing all the projects today! I’m blown away with all the awesome new stuff shown today! I can’t wait to get my hands on it 🙂 I think my favorite are the new word dies for sure. I love group post days, they are always inspiring!!! What a fabulous line up this month PTI!!! I just LOVE the Wonderful Words set and dies! Can’t wait! Again, such beautiful ideas and products. Thank you. I cannot wait to use the Wonderful Words Holiday and Christmas Poinsettia sets! I love the cards that you made with them today… just beautiful! Love the tag die! Very versatile and such gorgeous samples! Oh those poinsettias!!! They are beautiful. I can’t wait to get my hands on the new ink. I like the shape of the new ink pad and really like the idea of the one inch cubes. This has been a wonderful release and has gotten me in the spirit of Christmas. all the projects are awesome-can’t wait til tonight for the release!! Wow, all your projects are beautiful! But the smokey shadow felt looks divine, and I will definitely be pairing it with Autimn rose! Love the poinsettia pin, what a beautiful gift! Great day again today! Tonight is going to be a long, fun night. I will be so busy trying to get everything ordered. Fabulous, just fabulous! 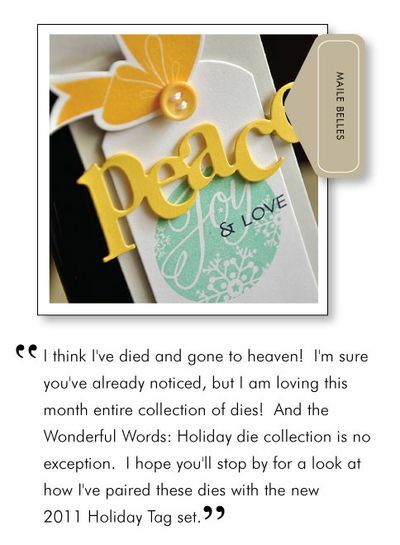 I love the word dies as well as the new tag and of course Dawn’s beutiful poinsettia stamp/die set! These are certainly must-haves! The poinsettias are beautiful, and I really like the new Wonderful Words! WOW! This is all so incredible!! I absolutely adore Christmas time and this month’s release is definitely getting me ready for the season!! I love all the tag sets that PTI has released so far – I use them for all kinds of projects – package toppers, scrapbook pages, you name it! And the new Wonderful Words set looks so much fun! Of course, you can’t go wrong with poinsettias and the holidays – all must-have products today! Oh my—-I LOVE Wonderful Words:Holiday! I always love the tag sets—WAY too many choices for me! I love your bag and your first card with the “holiday” cut out—how clever! What a great idea! Once again the amazing PTI team has created a stunning array of gorgeous products! What is a girl to do seriously! It is so hard to pick and choose and keep to a budget when every product makes your senses come alive and the creative juices start to flow! As I hopped around the blogs each designer wowed me with their creativity! I can’t wait to see the full sets on release night! And the new inks and new felt color too! WOWZER …….. I am feeling a bit lightheaded from the visual overload this morning!! I think the only thing I can do is make another cup of tea and enjoy it all over again. LOVE (shouting) the new felt ~~ it makes me feel warm and fuzzy all over with some PP or RF ……. help me!!! The words are so “there” I love how chunky they are this time around ……. I do not know what else to say so I am going to go make my tea and do it all over again!!! It is the most wonderful time of the year!!! Love those gorgeous poinsettias and the die cut holiday words! My creative wheels are spinning! Yeah! Just what I wanted. Love all the to-die for words. I’ve been waiting and waiting for the new ink! Saw a sneak peek of it on one of the videos, and thought – it’s coming soon… As usual, love it ALL! (The felt inserts are a great idea!) Thank you ladies! Until now I have resisted your holiday tag sets. This is the year I give in. It looks spectacular. I am so excited about this months release and all the gorgeous dies. I’ve been waiting for the inks forever it seems so I am way excited about them also. I can’t wait till the release tonight . I got my list going. My mind is just blown away with the awesomeness of the projects created by each and everyone of you. Absolutely beautiful work and so inspiring. The versatility of the stamps and dies and other accessories are showcased so well each month. This release is over the top spectacular. Of course, I think that every month. There is always something for everyone and the creativity of the DT never ceases to amaze me. I LOVE PTI!!!!!!! These projects are all amazing. I’m having a hard time deciding what I need first! Love everything in today’s post! The poinsettia flower die as amazing! Thank you, thank you, thank you for sharing your wonderful talent with all of us! WOW!! I love those words! I have the original set and love it. They are so versatile!!! And, I love the different font on these new words. I especially like the Erin Lincoln combination of snowman and the words. Super cute. Love your dies and matching stamps! You ladies are really creative. Kuddos to all! Thank you for this opportunity to win these products. I have some hard choices to make. What beautiful designs by the team. Love the holiday words and the more I see the poinsettias the more I want them so bad! These are all amazing and really well thought out. So exciting! love the new tag set, and I am so excited to see the new ink thanks for a chance to win! The holiday words are my absolute favorite!!! LOVE THEM! Great stuff today. oh the poinsettia dies are great! Your cards are beautiful. I Love the large Peace, Holiday, Merry Dies! They are perfect for adding that extra dimension to projects. It’s going to be tough to hold myself back this month!! So far I want EVERYTHING!! just when i thought i had enough christmas sets……the DT always does such a great job and turns the new releases into MUST HAVES!!! LOVE the felt poinsettia the best! Awesome projects. More fun stuff to play with! I can hardly wait! I love all of your cards and projects. I can’t wait to see the entire tag set! Love, love, love it all. The new wonderful words are dreamy. And soooo excited for the new ink. eeeek! I think this is my favorite preview day….LOVE the new tag sale die and well, everything else. this one hits it right out of the park! Oh! I love the holiday word dies! They are great! I am in love with the idea of placing the words inside of a space with the already die cutted words. That is brilliant. So clever! Those felt poinsettias are just gorgeous! And I really like the new Tag Sale die, especially after seeing all the cute tag creations today! I really love the Wonderful words and the pink poinsettia card is just stunning! Thanks so much for another fun release! Love the Wonderful Words Holidays dies! I have been hoping for a poinsetta die. I love it! I can’t wait to use the die and the images together. Yes! I am so excited for the new inks! 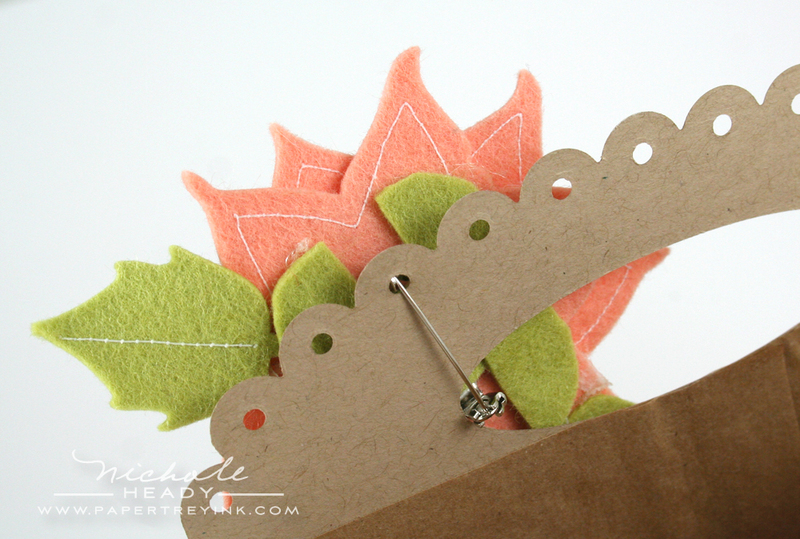 I love the gift bag project with the felt poinsettia-gorgeous!! I will be way over budget this month! Thank you for the amazing project ideas-so exciting! Love the word dies. And the tag sale die. Poinsettias aren’t my favorite, but some lovely projects this week. Holiday tags are lovely too! The wonderful words are awesome this month! I love how you used the two colors of felt. Thanks for all the inspiration!! Elegant and user friendly: what’s not to love? Snowmen and poinsettias and big die cut words – these are definitely my favorite things! ♫ ♪ ♫ GORGEOUS samples, your team has simply outdone themselves once again! Everything is so beautiful! I think that felt poinsetta would make a beautiful adornment for a holiday headband. My girls will want one in every shade of PTI felt! You are making it so hard to choose a budget friendly purchase this month. agh! Everything is amazing! Have been waiting for the PTI inks to return. Can’t wait to try them! Love all the projects! Thank you so much!! all the new dies are so great and so versatile – especially love the poinsettia – would love to win this prize package! Amazing release. The poinsettia and wonderful words stamps and dies are incredible. I love the pink and grey card you made. I love love the felt!! And new ink wow! Wow, the cards today are gorgeous! Love the new dies an stamps! Lovely samples from all of the designers. (especially the Snowman on magnets from Erin)!!! So glad the inks are back in their new form. Love loving the new tag #5 and the Words with the stamps!! Can not wait to see what I can do with these! I thought last month was awesome and this is even better! Looking forward to trying the new ink and picking up some more stamp sets! I love the card with the felt focal point. It is so clever to fill in the gray with pink felt! The card with the large poinsettia in sweet blush/raspberry fizz is gorgeous as well. Oh Boy! Can’t wait to get my hands on the wonderful stamps and dies. I’m in love with the wonderful words dies… this release is gonna be hard on my wallet! Such a wonderful release this month!! I love the Christmas word dies and tha poinsettia and the new tags are wonderful! Another wonderful selection of dies and stamp sets – love the shape of the new ink pads – all the samples are wonderful= wating patiently to see all the stamp sets when released tonight! Beautiful projects from Nichole and all of the design team showcasing these wonderful projects! Wish I had an unlimited budget….. I absolutely love your project with this poinsetta pin – so cute. Great dies this month and great projects as well. Thanks for all of this inspiring ideas. This is the best day of the release in my opinion. I’m thrilled with the ink pads (love the new design). The word dies are awesome and the tag set is so fun and varied. Your stamped poinsettia card truly inspired me, thank you! Adore your pink poinsettia card, just beautiful!! And how you added stitching to one and attached it to the gift bag, very clever!! I don’t know how you do it, another round of fabulous products for us to ohh and ahh over!! LOVE the new word dies!!! Beautiful projects today! Love all the stamp sets and dies PTI has come out with this month. Can’t wait to get these stamps and play with them. All so amazing! I can’t get over that last pink poinsettia! Just beautiful! The dies are wonderful!! I can’t wait to get them and start my holiday crafting!! Bring on the holidays! I am falling in love with this month’s release. I am a big fan of all the new dies that are on display today and the big word dies are something special. It’s great when the whole team shows off their projects so that you get a sense of how many different ways the products can be used. See you at the release party tonight. This release is amazing! The dies, the stamps, the inks, how exciting…. Your DT is the best inspiration around! This has been one of the best week of sneak peeks! I love all these sets and dies, and I am so happy to see that the ink is on it’s way back in. Such wonderful projects from the entire team, thank you for such fantastic inspiration! I am so excited about all that is being released this month. Am really going to half to whittle down my list. I love it all! The Poinsettia stamps and dies are beautiful. Love the ‘peace’ word die. Your Christmas tags look awesome too. It co-ordinates so well with your other stamps and dies too. I’ll have to try die-cutting a word into a tag now- thanks for the inspiration. Wow, this month PTI is hitting all of my favorite Christmas and winter images – poinsettias, winter scenery, horse-drawn sleighs, and sleds. What’s a girl to do but order it all? Unless, of course, she’s fortunate enough to win it. Thanks yet again for all the inspiration! Love the wonderful words dies! This release has been great! I just love everything you’ve shown today. Wonderful Words Christmas is perfect – I love that the font on the dies is different from the script font on its sister stamp set. All of the nontraditional holiday color combinations on your projects are fantastic! Must have the Wonderful Words! I am in sooo much trouble this release! This is such a wonderful release. I just love each and every stamp- and dieset you have created. Wow. I love this season. This month has been overwhelming with all the new releases! Thank goodness you have that “I want it all button”! 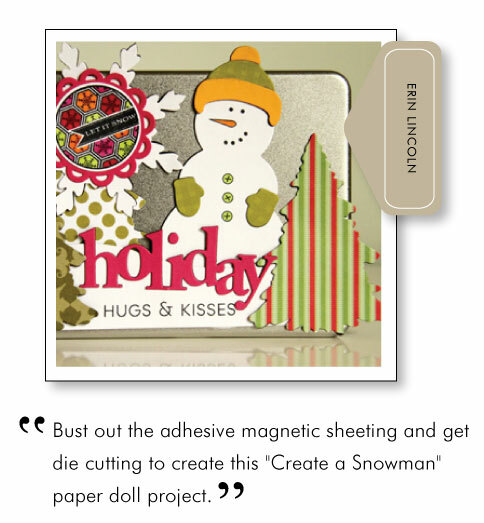 Erin’s magnetic Snowman is just such a fantastic idea, with a beautiful 2011 Holiday Tag to make an inviting present. Another wonderful day of release items – and one AWESOME release month. Now that I have my list in front of me, HOW do I pick and choose? Each and every one of the sets say ‘pick me, pick me’ and the dies know they are very close to my shopping cart! I may need therapy after this one!! You all come up with such amazing ideas that I enjoy the counts downs almost more than the release itself. Can’t wait for these new sets. I think this is my favourite release EVER! Such a terrific assortment of stamp styles and the dies are fantastic. My favourite would have to be the poinsettia dies. They are stunning cut out in felt. They’re definitely coming to my place. I love all the new dies every month. They make everything so much easier! Oh, wow! What fabulous new goodies these are! I’m loving the holiday word dies and the poinsettia sets, and I absolutely LOVE your idea of cutting the word out of two felt colors. I MUST try that! Your felts look so beautiful! They are going on my next PTI order! Love all of the new products! So much inspiration! Snowmen in a bag, how adorable is that?! All of your projects look wonderful, Nichole! 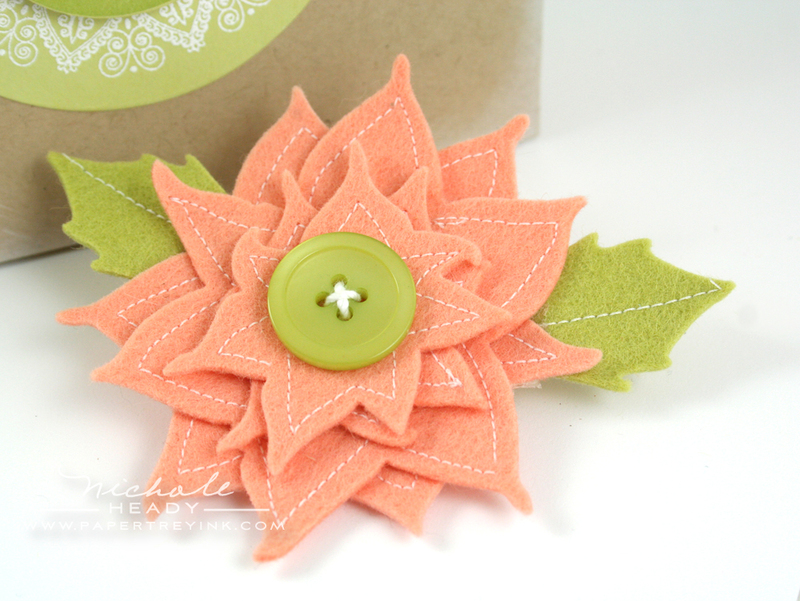 My favourite however, is the felt poinsettia pin– I love how you stitched around each petal! Fabulous!! Love the tag set and can’t wait to make Holiday Tags with them. I’ve been waiting for more Wonderful Words dies and stamp set. Awww, the wait is over. I hope you keep more coming. I love the Holiday addition to Wonderful Words. Beautiful projects by all. Great dies! I love them all. I can’t wait for tonight. Beautiful projects. so happy to see another set of Wonderful Words! just love the versatility of these dies!! awesome release this month!! Loved the word dye and the poinsettia die and stamp. Those poinsettia’s are calling my name! I can’t wait to make some beautiful pins as gifts this holday season. I also am very excited about Wonderful Words Holiday. Seriously I’m ready to pop in White Christmas and begin making holiday cards!! yup.. adding this to my shopping basket. Love this release! What a giant release this month…everything has been wonderful!! I really like the new tag Maile’s designed! Wow, everything is just amazing. I love how you can create so many different beautiful things with basically the same supplies. I just can’t wait to get all of these things to my house! I love all the dies in this release. I think I could make fabulous cards with just my dies alone…no stamping needed! You and the entire design team have done an amazing job! Beautiful projects, incredible (versatile) products – how can I ever choose?!! Oh my, I don’t know what to do about that budget I have. I really NEED everything. HELP!! I am in love with the Wonderful Words dies. The thought of cutting them out in polar fleece blows my mind. Thank you for another great release. I’m excited about the return of the inks too. There are just too many adorable items being released this month. I don’t know where to start! You can’t imagine how excited I was to see INK! Everything is amazing once again this release, but I am just so amazed I can START my ink collection! Love the dies, projects, color combos everything. Another amazing line-up! So many new things it’s hard to know where to start on my list of needs/wants—yep, needs! Oh my! You and the design team are such an inspiration! These projects are amazing. How will I ever dwindle down my wish list to match my budget? And I can’t wait to try the new inks! This is my favorite day of the release! The new ink have been so long in coming – and are worth the wait. I buy the Holiday Tags every year so of course I have been anxious to get a glimpse……Thanks to you and your very talented team for never failing to amaze and delight me! I LOVE LOVE LOVE Wonderful Words:dies! So fabulous!! TFS! My budget is no more! It will be so hard for me to decide what I want. Every year I tell myself I have way too many Christmas stamp sets and don’t need more and then your new sets are released and I’m stuck. I love everything. gorgeous- i love all the dies! Here I thought I had all my Christmas shopping done…Everything is just wonderful! 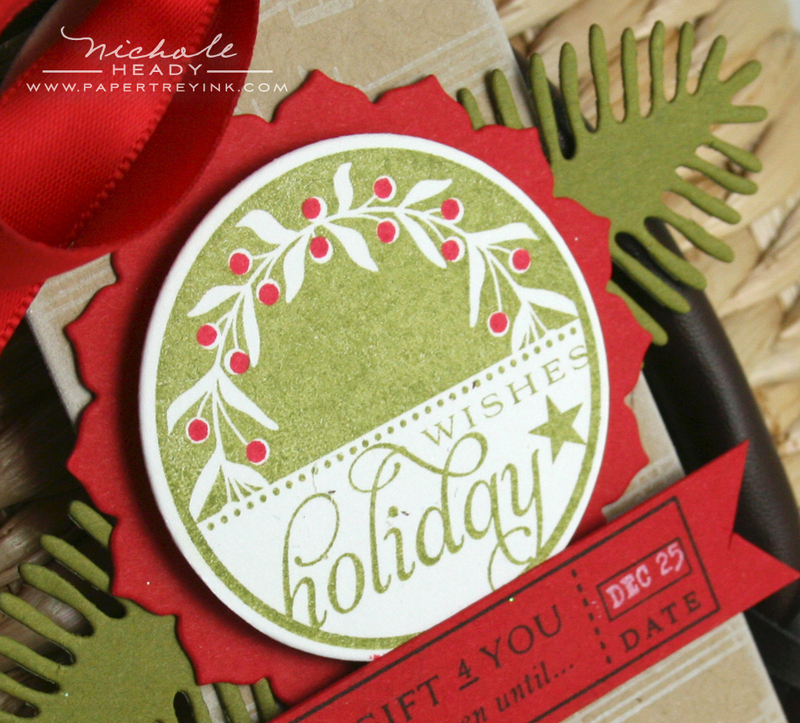 I especially love the poinsettia stamp and die, and I can’t wait to see the Christmas Tag collection. You guys are great! Again, love the new word dies. Your sample with the two colors of felt is striking. Will need to try this! Beautiful! I am loving that new Tag Sale shape, sooo pretty. Your poinsettia pin is stunning with that stitching, and I just love the little “Do not Open” tag image! Wow, Nicole, this looks to be a fabulous release. All your samples are particularly gorgeous with some lovely techniques. Looks like my shopping cart is going to be fuller than I intended! Love the word dies….you could even make ‘ho ho ho’ out of holiday!! Love the tags and glad to see the new ink! The pointsettia dies are too fun! 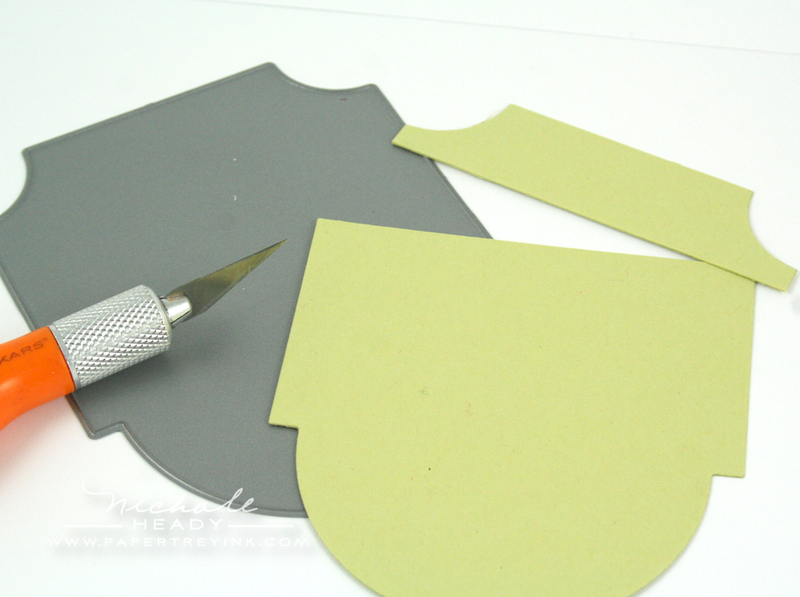 I love the idea of making a gift out of them by cutting felt! Oh and the wonderful words will add the extra touch to cards! Dear random generator gods, I have had a rough week at work. I think I’ve worked something like 15 straight days. Yesterday I worked from 4:30 a.m. until 11:00 p.m. and just took a break this morning to read my Google Reader. Oh my, those poinsettias are TO DIE FOR and the WONDERFUL WORDS!! SWOON!!!!!!!! Love all the design team samples. Please pick me–it would REALLY make my week! 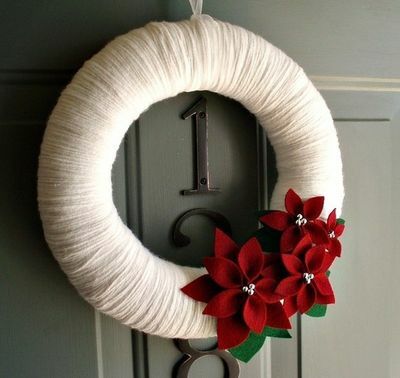 I can’t wait to make felt pointsettias! I love the pin you made with the stitching around the edges. And the card you made with the pointsettia stamp is just beautiful! Thanks for the inspiration! OH my goodness, am I in trouble – so many incredible products and I am very intrigued by the inks – Three cheers for PTI!!!!! This is the best release I have ever seen! You all have outdone yourselves this month! Thank you for everything! Super excited about the ink!! Whoopee!! Also, loving the Wonderful words dies!! Wonderful cards and projects once again! Thanks for sharing your vision and talent with us. The new dies and stamps are fabulous. Love everyone’s samples. It’s going to be really tough to choose what to order this month. I love that the die cuts for the Wonderful Words:Holiday are a little bolder. This will make them much easier to adhere to the project. Love today’s sneak peeks! The diecut words are awesome and the poinsettia set is so beautiful! Adore the holiday words dies 🙂 All of this month’s releases are so inspiring and I can’t wait to start on my holiday crafting! wow, some wonderful projects – love that pointsettia. And I can’t wait to get my hands on the new ink!! Once again great job! The projects are always so inspiring. Thanks. I love everything! I’ve already started making holiday cards with sets from last month’s release. This month’s release will be a great addition! Love, love all the awesome projects! All I can say is “OMG”! Ha ha….what a wonderful release this month! Cant wait! I am smitten with the Wonderful Words: Holiday Set! THANKS PTI for outdoing yourself AGAIN! AMAZING! That pretty much sums it all up for me. The new word dies are beautiful, and I love how you did the embedded panel using the word dies and felt. Speaking of felt, the new Smokey Shadow felt looks so luscious! I’m excited about the new tag die as well; I dearly love all my tag dies! Oooh, I’m SO excited about tonight’s release! The poinsettia dies and stamps are gorgeous. I love the idea of stitching around the edges on the felt blossoms. What a wonderful added detail. Great projects and a beautiful release. How am I ever going to narrow down my choices! So many awesome new introductions this month – I am going to really have to weigh my choices carefully! The words, tag, Front and center are must have sets and dies for sure! Great job on this month’s release. The wonderful words are a great addition, love them! Can’t wait to try the new inks as well! Thanks to the DT for all of their inspiration! I love the dies, tags, new inks, and stamps revealed today. Very pretty. Loved the felt frame with the holiday words dies. I know I said yesterday was my favorite group of new products, but today’s group is tied for my favorite! I love the new Wonderful Words set and dies! The original set is still very high on my wishlist, but this one is coming home to live with me this month! I love the look of using two differet colors of felt with these dies! What a great release!!! I can not wait to get my hands on the dies this release! The possibilities are endless!!! WOW! After all these years you guys still amaze me. I was thinking back to your first release of Paper Trey stamp set the other day and how excited I was then. You still get me going today. God has truely blessed you. Thanks for sharing! Fantastic! Love the felt poinsettia pin. The holiday words die and stamps are amazing! I can’t wait to try out the new inks. I’m been waiting for the Pure Poppy for quite a while. Wonderful collection of Christmas goodies. Great variety of projects and such awesome inspiration. Those Pointsettias are GORGEOUS! Would love to use them on my cards for this year! This whole release is wonderful. The more I see of the poinsettia set amd die, the more I love it! I am so looking forward to the full release to see everything! I’m a sucker for poinsettias, and this set and the die are just fabulous. Oh, the uses I see for that. Love the wonderful words dies…great Christmas sayings. The design teams projects are amazing. I think since I started buying PTI products, this has got to be the hardest month to choose what I want because I want it all!! The products and ideas that you and the DT have shown have all been fabulous. 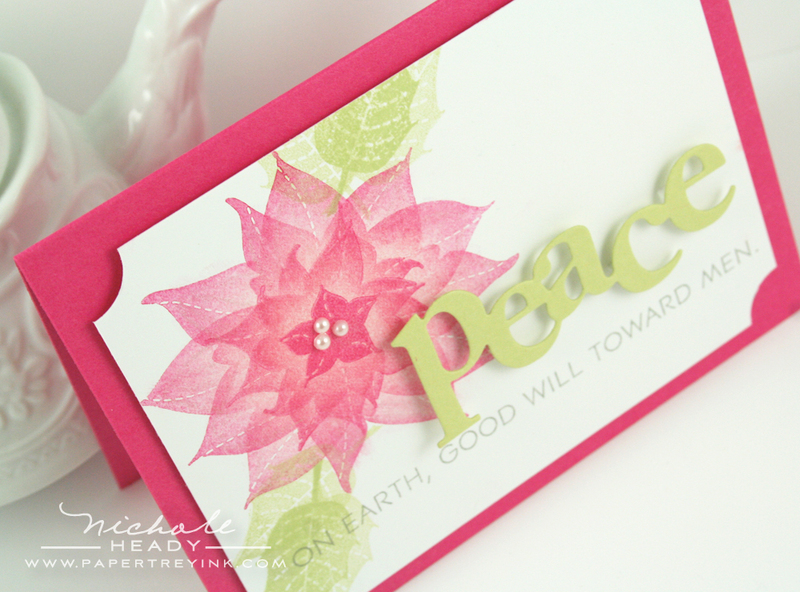 Love the word dies and your pointsettia peace card is just beautiful! I am just loving all the new products this month, especially the new dies. My wish list is growing and some decisions need to be made….oh how will I decide? All the PTI ladies are incredible! How in the world do you expect us to choose from all the goodies this month? it’s going to be so hard! And ink also oh my hide the receipt from the men folk! I just love these projects. I am so excited about the new ink. I can’t wait to try it out. Sigh!! I LOVE everything! I love to create Christmas tags and these look fantastic!! The whole time I’m scrolling through this post, I’m thinking Oh no! Oh no! So many things to add to my cart! 🙂 You make it impossible to resist. Wonderful release! Um, LOVE the poinsettias — especially the pink card! Absolutely the BEST Holiday stamps, tags and dies ever! The Wonderful words die set is fabulous and that Poinsettia is so pretty, I’ll want to use it all year round :o) I am off to check out the DT projects~Thank you for another amazing month! I love the tags!!! Beautiful work! This has to be the most jam packed, inventive, overall BEST release PTI has ever had! I am completely blown away by everything I have seen. I love everything today! I need it all! The poinsettia is fabulous, the word dies are at the top of my list, and the holiday tags are just wonderful again this year! I love PTI! i love the first gift bag! I can already see so many ideas for this gift bag. I like the versatility of the colors you used. The stamps and dies do not only have to be used at the holiday season! The poinsettia pin I can see adding a hair clip instead and giving to a little girl to wear as well! Thanks for sharing. I always love the yearly Holiday Tags, and this year is no exception! Wonderful Words look even more wonderful in soft, fuzzy felt! Thanks for the amazing ideas! I don’t know how you do it every month, but you do. What a talented group of designers and artists you have on your team. I don’t think there is anything I don’t love from Papertrey Ink. What I really love is that each collection works with prior collections. More bang for the buck. And today’s collections are no exception, classic. I love everything on today’s post. I am really loving the word dies too. Love, Love, LOVE! I love everything being released this month, but I am especially in love with the Poinsettia set! I love the wonderful words: holidays and the font! Well, it’s scarey to think of how much money I’m going to spend this month- There’s nothing I can put on my “don’t need” list. I just love Christmas, & PTI does it better than anyone! I appreciate all the inspiration from the wonderful designers. Thank you PTI once again…You’re the best! I’m so excited for the release! I want so many of these stamps and want to try the new inks too! Beautiful work. Wow, where do I begin? The smokey shadow felt, the holiday wonderful words dies, the pointsettia die, all the stamp sets, you are truly blowing my mind. I honestly believe my card recipients will be wowed this year. I love all the new dies! Great job on the poinsettia stamp set too. I love it all. A Merry, Merry Christmas to everyone! NOW I am very excited to start making Christmas cards and tags and … Just can’t wait to try some of these new dies! I’ve really enjoyed all the wonderful items in this release!! I’m super excited about all the different dies and the new inks and I just love the smokey felt!! Congratulations on another fabulous release, Nicole! You are really making me get into the Christmas spirit! Those words are just perfect! Love the big chunky font! I love all the wonderful ideas and projects for this release. Everything is so beautiful and has gotten me in the mood to get some Christmas stamping done. The wonderful words die collection and poinsettia are wonderful. 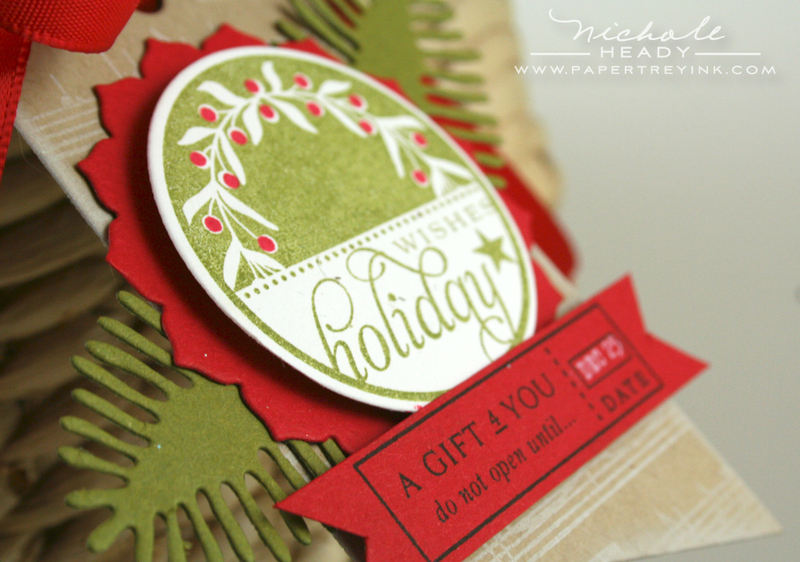 The front and center die, I love how you put that all together with the poinsettia pinned on. Great countdown to Christmas! It just gets better and better! WOW! Amazing new release. I am loving the holiday tags. These are great! I love how you used felt for the holiday greetings card. Looks great, and my absolute favorite is the graduated pointsettia on the Peace card. It’s AMAZING. Thanks! I totally love all the new dies and your amazing design team keeps creating more beautiful projects to inspire the simplest crafter like myself. This particular release has brought back so many holiday memories of family and friends and for that I thank you. Awesome! Love the new tags, and the word dies are amazing, so fun! This release has been beyond amazing! I can’t wait to see all the new products tonight! The dies are so classic and pretty! So many uses. I love that you always manage to incorporate old stamps/accessories with the new. I love everything in todays sneak. Getting me excited for the holidays! I want them all! Now I probably won’t get them all but It seems like this release has so many unique items. I can’t wait to make some fun projects. You design team is the best! So inspiring. Wow – another awesome release – I am really in the mood to make holiday cards now! 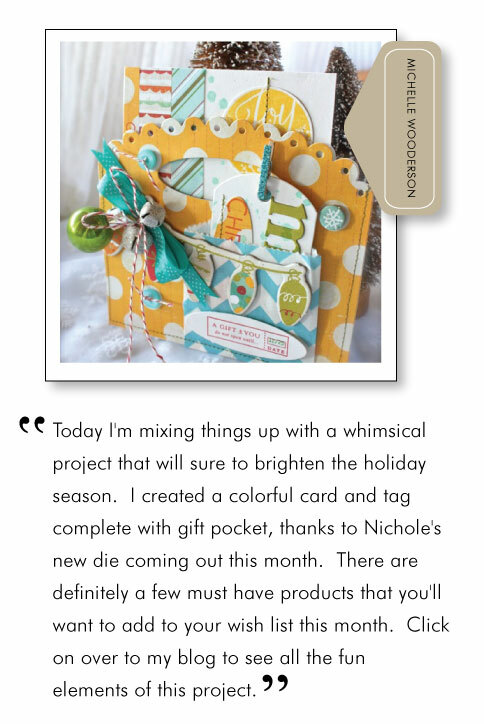 LOVE the Wonderful Words: Holiday set/dies — so many possibilities!!!! Can’t wait to order these! Wow, awesome DT creations! So beautiful! I can’t decide which is my favorite! I love the holiday tags shown today as well as the poinsettia dies. My wish list is huge this month! Thanks for all of your great work! your projects are amazing, i love the poinsettia & matching dies. all of the sets this release are great, it will be so hard to choose. thanks. So excited about the new stamps!!! The size and shape, just perfect. Thanks for putting so much thought into the design and functionality and offering them in two sizes. Great release, I’m looking forward to tonight! Absolutely fantastic!!! I am soooo loving the poinsettia dies! I am so excited about the new ink. I have never used the PTI ink before, but from what I have read, I am in for a real treat! Love everything in this months release. Can’t wait for tonight. I really like the Holiday Tags Set. This is an unbelievable release collection! I will definitely have a difficult time making decisions tonight! Maybe a one button “I want it all” kinda purchase!!! So thrilled to see the new inks!!! Just love those big word dies. 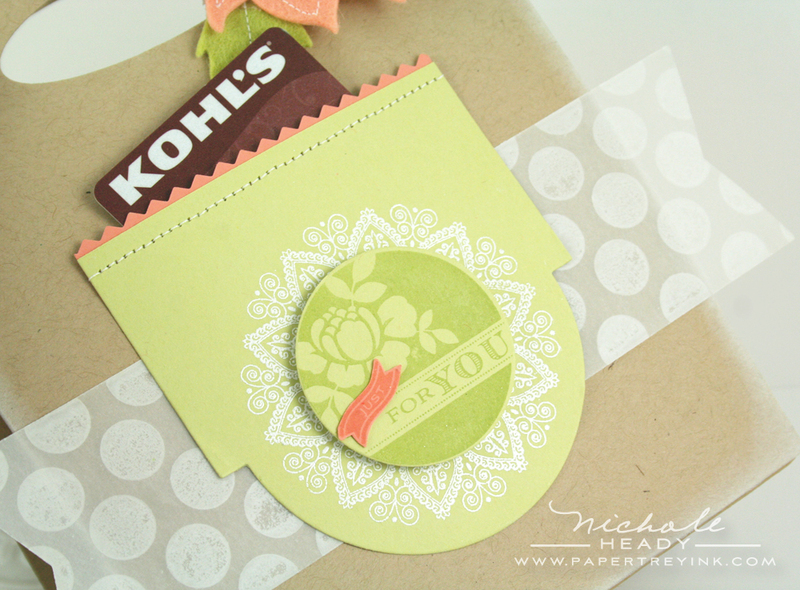 I just loved how Mish used that Front and Center Die to make a pocket to hold oh so many things, a must have. Another great release with so many wonderful products especially that new ink that we will all be putting into our carts. Thank you. The Holiday tag set…how cleaver. Never fails always see something to add to the wish list. WOW! Today’s projects are my favorite of the entire release. Ladies you really out did yourselves today! Thank you for such wonderful inspiration and for spending my $$$ 😉 I have to say that poinsettia pin reminds me of my mom, she had a silver poinsetta pin she use to wear all winter long. Love those memories! Sooo excited about all the holiday products and love the ink pad design and shape! Your design team has wowed us again – beautiful, beautiful ideas for Christmas! Oh, I LOVE the new Holiday tags! Your tags were the first stamps I fell in love with several years ago and I’ve been hooked ever since. I don’t know how you all keep doing this month after month — but who’s complaining? PTI is my favorite obsession! the poinsettia stamps and dies remind me of both church and my grandmothers’ houses, they were all filled with poinsettias. this is easily the best holiday release i’ve EVER seen! What an amazing release! So many wonderful sets and dies. I am going to have some very tough decisions to make. Very excited about the new ink!! Can hardly wait for all the other colors to come out. Another great job by you and the DT!! Oh and you Holiday Greetings card……….brilliant!!! The poinsettias are beautiful!! Thanks for sharing all the wonderful ideas for the new goodies! Merry Christmas to me! I love the inks & the “just for you” tag stamp. I need to do the imbedding of one color felt into the cut out of the other color – really nice look. Oh my! YOu had me with the mega sized Tiny Treats and day thereafter but today you made my day. I am SO HAPPY you are reintroducing ink! I was at the store yesterday looking for a new a red and a new black because my Papertrey poppy and black had lost their juiciness. Hooray! The poinsettia items are so lovely! This release is just stellar! Love the new Holiday Tags stamps! The word dies add so much texture and interest, fun! What an awesome release this month. I need to get a part time job to supply my Papertrey habit. I can hardly wait for my order. Such inspiring samples from the whole team! this is the post i have been waiting for. i love the sets and dies you are releasing today. and, smokey shadow felt. be still my heart! I love the holiday word dies and stamp set…..so many possibilities! And your cards are fabulous. Your cards and gift bag are so lovely. They showcase the new products beautifully. You and your design team bring creative genius to everything. There are so many inspiring ideas. Thank you! Now I’ve got a hard decision to decide what I want to buy tonight. Everything, as usual, is fabulous! I’m really excited for the new inks! PTI did it again! I love it all! The images displayed so far for the 2011 Christmas Tags collection are beautiful – and your card using Christmas Poinsettias is gorgeous – it convinced me that I need this stamp set (and not just the die)! Such beautiful projects!! I love the designs in the holiday tags set! So many great possibilities with all of these sets! WOW!!! Really loving this release!! You always have great ideas and I love that they are usually CAS!! The “Wonderful Words” are perfect for so many holiday crafts. The Holiday tag set is darling and will make wrapping more fun. Love all the samples and can’t wait to have new stamps and dies in hand! All the projects are SO wonderful! Love the poinsettia! I would love to make some felt poinsettia pins for my friends! The new ink pads look great! I am completely blown away by the brilliance of the ‘holiday greetings’ use of the felt and dies! So cool! I am also over the moon excited to see the release of the new inks. I have been waiting for aqua mist ink so it will be the first item in my cart this weekend. Love the new holiday tags stamps, too! Can’t wait to see the full post tonight! Goodness, do I ever like that new tag sale die! Some beautiful stamp sets and dies introduced today as well as some gorgeous samples by all the lovely PTI ladies. I’m swimming in inspiration 🙂 Thanks ladies. Oh my goodness!! My head is spinning with all the new products. SOOOOO many dies!! I am also so excited about the new inks!! What a great release; so many inspiring projects!!!! You ladies never dissapoint!!! Thank you soooo much!!!! The poinsettia dies are so pretty. All the dies are great. Now to try and narrow them down, if that’s possible. Makes me feel like starting my Christmas cards, gorgeous. Just to echo the sentiments of others…this release is amazing. The products are wonderful and all the designers have been super creative! I really love the new words! Great font choices! Everything is wonderful, as always! Love the Merry and tag dyes. REALLY EXCITED ABOUT THE INK!!!!!!! Yeah! I just love these tags! I will definitely be WOW-ing my gift recipients this year! Wow! Fabulous projects from the Design Team. I really love the poinsettia dies and stamps, and I am excited to see another Tag Sale die. I thought I was finished with my Christmas creativity planning, but now I’ve got a million more ideas swimming around in my head! Hopefully I can narrow it all down with enough time to get it all done before Christmas. 😉 Thanks for all the fun, beautiful inspiration this week! Can’t wait to order tonight. Love the new INK!! The design of the ink pad is so clever. Can’t wait to try them! And the new dies…and all the gorgeous stamps sets! OMG, where do I start! I want them all LOL. Thanks to all the Design Team for such an Amazing Release and so many gorgeous samples! Wow! Love the holiday felt card!!! I’m looking forward to these sets this Christmas!! What an incredible selection for this release! 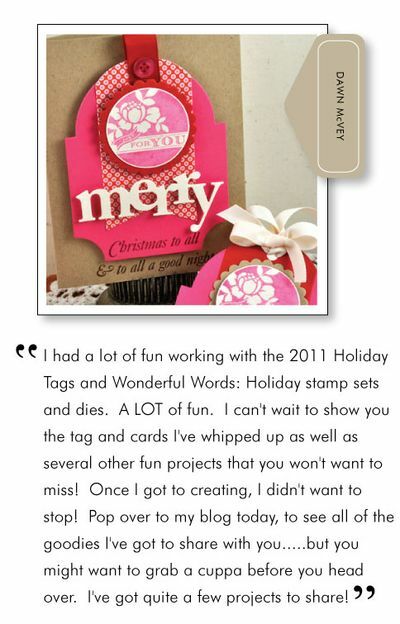 I love the Wonderful Words: Holiday stamps and dies! I’d never have thought I needed those dies until I saw what you did with the felt! Such a fun set. I love the dies and words. So fun! Those word dies are so fun! So many ways to use them! It is going to be SO hard to stay on a budget this release! I love everything!!!!! Thanks for all the fabulous inspiration. Oh it’s all so wonderful! This is the post (the new holiday tags) that I look forward to *every* year. Well….. Once again I LOVE LOVE LOVE everything you are showing today, but the Wonderful Words: Holiday set with dies really speacks to me. It is so versatile and will add just the right touch to many manhy projects! I can’t wait to see the full realease tonight! Hope I win! I really love the font used in the new wonderful words set. I can’t wait to try out the new inks. yay ink again! and in True Poppy which I need desperately cause my old one has come apart! Love all the projects too! This is the best release you have ever done. I can’t decide what I like the best. Thank you for all your inspiration and creativity. The felt idea you shared is so clever. I love the look and the warm feeling the project creates. What great sets to preview today! Gorgeous projects today!! I love the poinsettia dies and stamps!! That felt flower is beautiful! My wishlist is getting out of control. This release just keeps getting better and better. I love the new ink pads. Love the new poinsettia die, and the Tag Sale #5 die. What an amazing release this has turned out to be! I love everything! This whole week has been incredible! My head is swimming with ideas from this release. 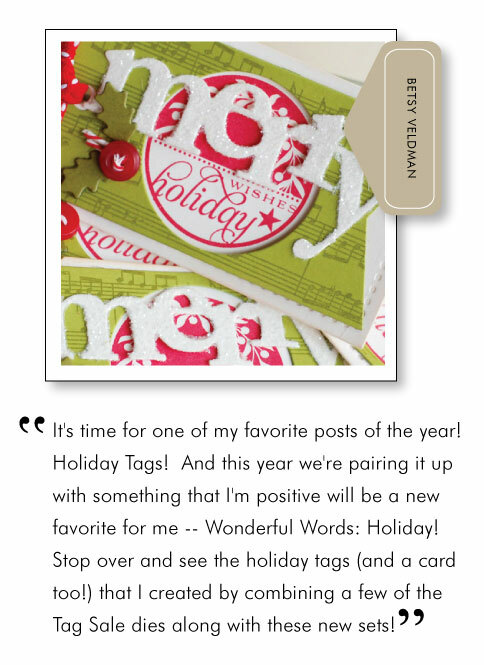 I love the new 2011 Holiday Tag set and the Wonderful Words: Holiday…. awesome!! The Wonderful Word dies look so versatile . . . .I loved the two-color felt card! I am also excited to try the new PaperTrey Ink! Just love the Tag Sale die and the wonderful die and stamp set for ‘Wonderful Words – Holiday’. I do not have much room in my tiny house for paper goodies, and your sets that are flexible and mixable with other sets like them, are a Godsend. Betsy’s two layered tag is terrific. More crafty fun in one place than you could fit on a single layer tag. I was already in love with the snowman set, but the magnetic snowman ‘paper doll’ of Erin’s, sleighs me. Now I could not possibly do without the snowman, words, and my favorite fir tree ever from the ‘In the Meadow’ set. Life is very difficult for me at the moment, and coming to this wonderful blog is the one gift I give myself each day. Thank you! I love the group posts! So many great ideas. My favorite today has got to be the poinsettia stamps and dies though – so beautiful! Beautiful poinsettia! I’m also excited about the the Christmas word dies, great idea for a bit of dimension without making it too difficult to mail. SO MUCH fun stuff in this release!! 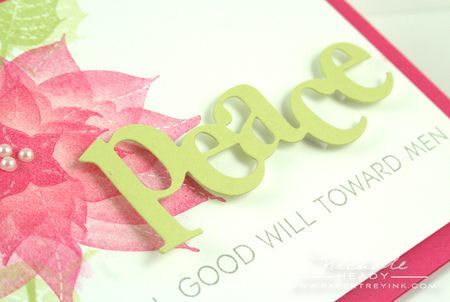 I am sooo loving the holiday words and the Peace card you designed is just breathtaking!! I’m so excited for the word dies! I can’t wait to see what other great dies that you add to this collection! I must have them all! Your poinsettia projects are so pretty– I can’t wait to try my own set. And how clever to use the die cut words in that “puzzle” style for a two-tone look! Beautiful projects this month! I’m in awe! Another great release! I have been anxiously awaiting the release of the new ink. What beautiful creations this week for the upcoming season. Great looks – thank you ! Beautiful once again, Nichole. I love the poinsettia pin! So darling, and easy to make! 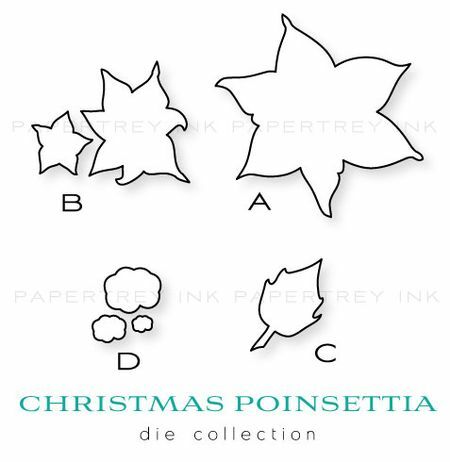 I would love to make a winter wreath using the new poinsetta dies. All the projects this month are so inspiring for the upcoming holiday season. wonderful words holiday is soooo mine – love love love it! Beautiful creations! The pointsetta die is gorgeous and I love the holiday tags for this year. Christmas card. Thanks so much for products and inspiration. Wow, absolutely fabulous! I love the new tagsale die and the wonderful words! And that poinsetta is just gorgeous!! 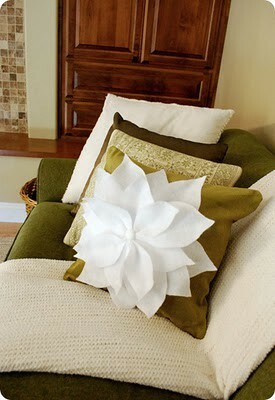 Your projects are stunning and I absolutely adore your poinsetta with the stiches, fab!! Another awesome release!! LOVE it all! The matching dies often are the real kicker that pushes me over the edge for many of the stamp sets. Of course the stamps sets are incredible too! So versatile and timeless. I love everthing about In the Meadow! It reminds me also of the field behind our house when I was a kid where we would go sledding down the hill all the time – of course now that field is gone and was replaced by more houses 🙁 Can’t wait to get this stamp set (along with a ton of other things this month!) Thanks for the chance to win his very generous prize! PTI ROCKS! Oh my word – chunky word dies! LOVE them! The entire team’s projects are so lovely. I am way too excited about this release – now I must hunt around for ways to cut back on the household budget so I can spend more on PTI. I’m a sucker for dies and Papertrey has the best. the stamp and die combos are the best idea ever. can’t wait to get the word dies. the new inks looks fabulous. you guys rock! super excited about thios release! wow everything looks SO amazing!!! What an amazing release with wonderful products! I just love the Wonderful Words and dies and the 2011 tags are a must. You have outdone yourselves this month!! I just love your warm and fuzzy holiday wishes. So cute! I’ve gotta have it! And the design team blew me away with their projects too. So glad tonight is release night and I don’t have to wait anymore. I love all the Tag sets & this one looks just as beautiful! I can’t wait to get it & start creating for the holidays! I love the chunky Wonderful Words too so they will be coming to live with me too! Thanks for all the inspiration you all provide – this has been an amazing release! What a Fantastic release!! So many exciting new sets and dies… All your projects were wonderful and the DT outdid themselves again. Thanks so much for sharing. I LOVE everything I’ve seen today!!! The dies, stamps, cards, bags,…all of it!!! I’m also very excited about the new ink and the smoky shadow felt!!!! The magic continues!!! Oh, very cool! The poinsettia dies and stamps are beautiful! Can’t wait to see the release tonight! I love everything about these new products! The dies are especially fabulous…please continue to bring out more in the Wonderful Words collection! The projects are lovely and I think the Smokey Shadow and Autumn Rose card is fabulous (thanks for bringing out Smokey Shadow felt this month)! Thanks for the chance to win. I love,love,love the wonderful words and the snowman play set is to die for. Yummmy. The samples are just beautiful! Wow! Oh my goodness! what’s a girl to choose? It is all wonderful and the ink! My budget runneth over. I adore this holiday words addition! Love the font style. And I’m excited about the ink pad as well! Cannot wait to see the full release tonight! These are so pretty, but the felt layered words are amazing! Wow, what versatile sets! I love all the dies, the flowers could be used any time of year! The tag set is my favorite! I really love poinsettias, and the new die set along with the stamp set will make it so easy for me to create stunning focal points. Thanks for another wonderful release, I can’t wait to get my hands on the newest goodies tonight!! Oh my goodness! Everything was STUNNING!!!!! You and the design team are AMAZING!!!! This is one of your best releases, ever! I’m speechless! This must be one of the best line of products you’ve ever created! The felt flower on the gift bag completely blew me away! How gorgeous!!! I love all the fabulous dies and stamps in the release. Even though I am not a fan of starting Christmas early, I definitely could use some of these stamps. I spy some fantastic ideas for holiday gifts in this post. Thanks for all the wonderful inspiration! My favorite product in today’s release are the word dies. Wow!! Those look so versatile. I loved how you used the positive and negatives from diecutting felt to make a fabulous card design! What a wonderful selection of new products. It’s hard to single anything out, as they are all so beautiful and can make so many festive things. Wow, amazing products this month. Love the Wonderful Words: Holiday. And how you used the two colors of felt, genius! Thanks again for all the inspiration. I love the Christmas Poinsettia. So beautiful! I always include poinsettias in my Christmas decorations. They are so colorful and elegant. Such a great release!!!! Super excited for the poinsettia dies and the words are awesome too!!! Oh I LOVE your word dies and the poinsettia is soooooo pretty! WOW! This is such a great release! I love everything you have shown today!!! I am so in the Christmas mood after this week! I love the Christmas Poinsettia stamps and die. And the new ink pads look awesome! What a great shape-that fits in your hand nicely. Looking forward to the party tonight and fulfilling my wish list. Love love love those poinsettia dies!!!! Can’t wait to lay my hands on them!!! That poinsettia set is gorgeous! I love how you layered the stamps instead of using the die cuts. Very pretty. I also love the die cut layers that give it so much dimension. All of the projects are beautiful. This was a fun group post. So many creative ideas. Such wonderful projects. I wish I had limitless funds. This has been a fun release! Such amazing options this release! Between this month and last you have something for eveyone! Can’t wait for tonight! I love the word dies and all that they will offer! Awesome! Every single one of the Holiday/Christmas sets/dies are awesome! They can all work so well with each other! More things I need to add to my already long wish list! What a great sneak day – I actually want it all. Especially all the dies – the Wonderful Words is amazing – I love the original. It’s very cool how you layered 2 pieces of felt. Amazing!! I love PTI for chritsmas! This year is no different! Wow… such great Christmas stamps and dies… I just love the new release. My wishlist has grown exponentially! Too many to choose from… Pick me pick me! Love Em all! WOW! Amazing and wonderful projects! I am blown away, again. I LOVE the versatility of 2011 Holiday Tags AND the price point! Your poinsetta pin is gorgeous – love the stitching. I am drooling over the front and center die. I think this was my favorite inspiration post of this month. LOVE the poinsettia and wonderful words dies!! So incredibly versatile! The wonderful words set and the holiday tags set are really cute. I can’t wait for the full release tonight. I would love to win this wonderful prize package. I am loving this month’s release. There’s too many to choose from, as always. You did it again! Definitely must-haves. I’m especially in love with the wonderful words. Love what the incredibly talented DT did with all the new stuff too! Thanks for the chance to win! I think I need to click ‘I want it all’ this time! What great new sets, can hardly wait to order. These are gorgeous samples, and I am loving these new stamp sets and dies!! Thanks for the chance to win! I love the Wonderful Words – so cute! What a release! Wonderful words, tags, new ink, dies to die for…how is one to choose. You’re killing me (OK just my budget but still…)! Thank you for the chance to win! I am so excited to order my list tonight! Everything is wonderful!!!! So happy to see the new ink! I’m floored by the amazing new items you’ve come up with for this release – I want every last one of them (but isn’t that the case EVERY release?? LOL) The Poinsettia stamp projects are fabulous. Simply said…beautiful. It is an awesome privilege to be able to see your artwork and designs. Thank you. Beautiful projects by all! Love the poinsettia died. Love the Wonderful Words dies!! Great samples. And am SO GLAD to see the new ink dyes – know they are going to be fantastic!! I am so impressed with all the goodies this month! My favorite “Gotta Have It” is the wonderful words dies… I will be starting my card bases now so that all I have to add is the die cuts. My Christmas cards may even be done early… Thanks PTI for the fabulous new stamps and dies. You never let me down! May you each be blessed for sharing your creativity. Just love all the Holiday stamps, dies, and ideas. PTI is such a unique company. Love the new releases this month. Now to decide which ones I need to have. Thanks for all you wonderful design ideas!!!! Another terrific gift bag….and the poinsettia die is so beautiful. This month’s release is one of your best! Everything is beautiful! And I’m soooo excted about that gorgeously cozy new felt! SIMPLY AMAZING! You guys have a true gift. Thank you very much for sharing! I’ll keep praying for a bigger budget! Who am I kidding–I WANT IT ALL!!!!!!!! I promised myself no more Christmas stamps. But I did not promise anything about no more DIES with matching stamps! I need to go over my collection to find a gap, must fill all gaps! My first thought is all the gorgeous words, and the pointsettas, but the silhouettes linger in my mind. You ladies are so inspiring! I wish I could each of you over for tea to thank you for all your wonderful ideas and inspiration over the years. 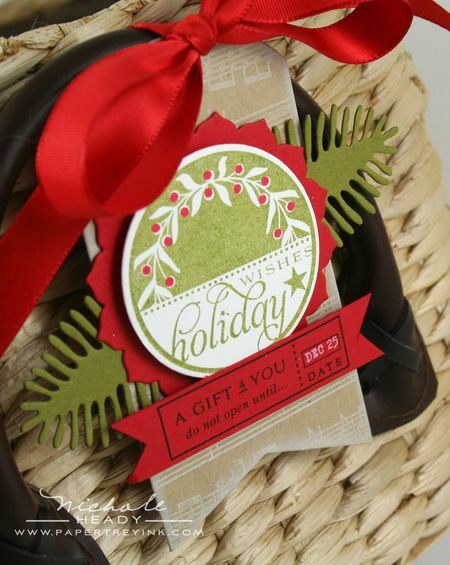 I love the poinsettia dies and the new collection of holiday tags. Such wonderful cards and projects, as always. Looking forward to seeing the entire release. I can’t wait to get my hands on those Poinsettia stamps and dies, they look awesome. And the new inks, we’ve been waiting for them. AMAZING!!! I LOVE the way you cut Holiday from two different colors of felt and then pieced them together—BRILLIANT!!!! And that poinsettia pin is absolutely STUNNING!!!! The stitching around the edges is awesome!!! No you didn’t! 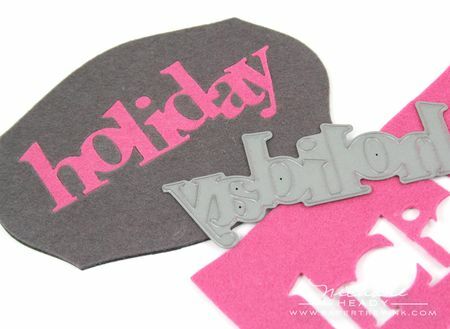 Inserting the die cut “holiday” into the die cut base is genius! I can’t wait to try it with some of my other dies! Always look forward to the Christmas tags each year, but I’m loving the Wonderful Words dies and stamps. What fun! I love the Poinsettia! Reminds me of my Grandparents…they always had the live plants in RED around for the Holidays! I love the Wonderful Words: Holiday dies. They are definitely a must have for making Christmas cards each year. I also love the Christmas poinsettia die. Every reveal has added items to my shopping list this month! Wow! Another great peak at the release! I love the word dies…awesome. And the poinsettia dies makes me swoon! I didn’t think it could get any better than last month … how silly am I?? I can’t decide … I want it all! I may just say “Merry Christmas to me” and jump in with both feet. Good thing I have all day to think on this. A stunning release and beautiful projects by everyone. I have to say the Poinsettia die cuts pull at my heartstrings. While my father was alive he always came knocking at my door around the first week in December with a Poinsettia plant so when I see a Poinsettia in any form I think of him. Of course I love the great chunky word dies too! So many wonderful choices. I find it very difficult to decide what to purchase each month. All your products are top notch and over the top. I am also very plese the ink is back up and running. My list is changing daily. today, I thought I knew what I was going to order, now, not too sure. I love, love, love that last card, the pink poinsetta with Peace in Green. It is stunning. Can’t wait for tonight. The inks look fabulous and the poinsettias and word dies are just so wonderful. This will be a difficult release to place an order when you want it all. My list grows with each and every release! All of the samples are wonderful! I love the felt Holiday card. What a great idea! Loving this release…the poinsetta dies are a must have…I want it all…..wonderful creativeness as always!! Beautiful projects, stamps and dies as always! More stunners! I don’t know how you come up with such great stamps and dies each month! I’m going to go check on the teams’ projects for even more ooohing and aaahhing! I love the word dies, they are perfect with the gift bag die! The Poinsettias are so pretty!! I love the poinsettia’s…so pretty…and I can’t wait to add the new tag set to my collection. All of the projects are absolutely gorgeous! I can’t wait to get my hands on these sets! I just adore the Peace on Earth Poinsettia card!!!! I’m also thrilled that the new inks are in – YAY! Love it all! 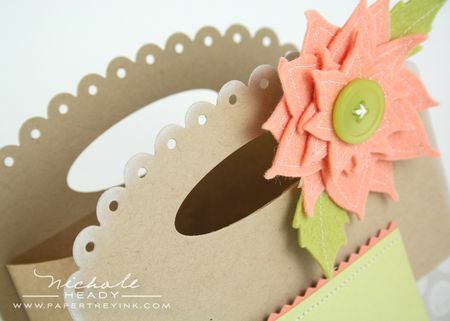 Especially the beautiful poinsettia stamp and die set. Can’t wait! Great my list just keeps getting longer–can’t wait for all the new dies—man where is the I want it all button. I love the pointsettia dies! Every month you come up with such amazing products! I really love them all! Another fabulous release! Can’t wait to order tonight! I love all the dies and stamp sets in this release! The cards and projects are awesome!!! I began the month thinking that I would not want any additional Holiday stamps and dies. Last month’s selection was so awesome. But, I think this is my favorite release yet. When my friends and family ask why I sent so many cards and goodies, I will tell them it is all thanks to this wonderful company called Papertrey Ink. Well, you made it so hard not too like them all…..what a great release (as always)…but the holiday tag and wonderful words stood out for me….thanks for all the great ideas. One of my favorite lines from Finding Nemo is uttered by the little octopus, “you made me ink.” I think we all might have inked when we read this post; it’s going to be a great night. I can’t wait to purchase the holiday word dies, the holiday tags and that smokey shadow felt. Your technique with the cutout word is genius. Thanks for so much fun these past five days. I just love poinsettias and snowmen and snowflakes. I think this release covers all my loves. Glad to see another addition to the Holiday Tags and the new Tag #5 die. Also love the Wonderful Words Holiday Stamp set and die. Hmmm… guess I should just say that I love them all. Surprise, surprise. I am most excited about the Wonderful Words Holiday stamps and dies. I love the original set I have and was so hoping that you would come out with one for the holidays. Wowsers! I am ready to order!! Poinsettias are my thing this year so I’m very excited to see that you have such a beautiful set to work with. I’m also in love with the smokey colored felt. It’s a wonderful neutral for any project and so versatile. Also LOVE the wonderful words addition. The words, think big favorites and flower fusions are fast becoming some of my favorites and look forward to each new addition. Thanks for all your beautiful ideas. Can’t wait to order. I enjoy your dies so much. Can’t wait to get my hands on the new tag die. And the holiday words are just perfect for my Christmas cards. The new ink looks wonderful. Cant wait to try!! also love the new christmas tags I have made many cards from years past. Thank you for all the great ideas!!! Love you guys!!! I would never have thought of putting the word back into the negative space in a different colour! It looks awesome, I just want to pet it through the computer screen. I LOOOOOVE the word dies! So fun! And of course the pink poinsettas! I love the felt ideas on the cards–just beautiful!! I always want to pull out my stamps and start making cards after looking at all your wonderful ideas-thank you!! I just love the poinsettia set! I can’t wait to see the rest of it! Yay!! Ink!! Love the Front die and the Tag Sale!! Wonderful month of delight..thanks so much. Such gorgeous projects from all… I love the huge range of styles represented here. Must have ALL the new dies!! Great new stamps and wonderful Christmas ideas! Love everything you showed today!! Great sets!! Great projects by you & the DT!! Just amazing!! I love everything shown today. The stamped poinsettia is gorgeous! Love the inks, Love the dies oh man I love everything I saw today.I have added everything from this months release to my Christmas wish list. Great projects once again! I love the new dies! Love the poinsettias. Love everthing actually. And all the great examples you and the team do. Really like, too, when you use a “Christmas” set but show how it can be an every-day set. Such versatility is so great to make the sets multi-purpose. Thanks to all. Such beautiful projects. I love that pink flower. It’s amazing. so many new stamps. I must have most of them. And dies, lots, ans lots of dies. I adore those new dies. Thank you for this amazing release party. Thank you for these amazing products. I can’t wait to try the new inks. Love it all!!!! That poinsettia set (and die!) look amazing!!!! And the tag die and the tag set and the other dies. I don’t even have words for all of these. Wow! Amazing job this whole release. I really love those wonderful words…just beautiful, yet fun! Wow, awesome dies, just love them and the samples are fabulous! Incredible work once again! I am also so happy about the new inks!! They look to have wonderful coverage. Great projects! I love the new holiday word dies! Blown away. I love Mehndi Medallion layered behind the tag. I really love the new poinsettia set and dies, and unexpectedly those Wonderful Words are now on my list. I just LOVE how you embedded two colors with the felt. Off to check out the rest of the team…. Wow if these sneak peeks don’t put you in the Christmas mood…nothing will! I absolutely LOVE everything, I cannot pick just one set because they’re all so fabulous. Oh boy, don’t know how I’m going to pull off this month’s order…I want it all! All of the teams’ designs are so creative and beautiful. Very happy to see the new ink line as well. Leave it to Papertrey to design a very trendy and handy stamp pad, love the shape and haven’t even tried it yet! Love it all! The tag set looks amazing – can’t wait to see it in it’s entirety. Looks like another winner of a release! Great release – time to make my list and check it twice! Love the tags! Great release. I just love all the new dies! Your projects are so inspiring! Can’t wait to get my hands on some of these goodies! Yeah inks….I’m sure you are excited about that as well. Beautiful, beautiful, beautiful line up this month!!! This is by far the best release week I have ever seen! Everything reminds me of past holidays spent with family. I long for those days when moms & dads and grandpas and grandmas were still around to hug and celebrate the season with us. 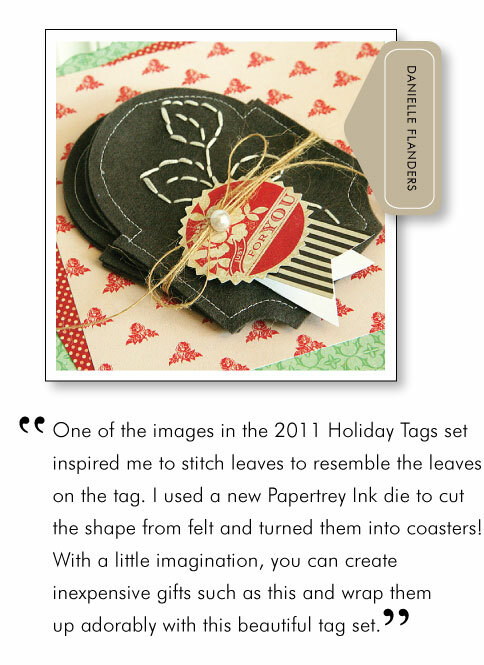 love the poinsetta dies and all the Holiday Tags..such a spectacular release – can’t wait to play with all these goodies! i love the font for the holiday wishes words. Can’t wait to get them! The Christmas poinsettia die collection is wonderful — I love the holiday pin! The projects shared are just **stunning** LOVE THEM!!! The words are beautiful and I am *super* excited for the reveal tonight! Thanks for the inspiration…I am looking forward to doing some crafting tonight! LOVE the holiday words dies. They will make great Christmas cards just by themselves with the appropriate stamps to go along with the dies. Your poinsettia card is just gorgeous! Love the new tags, love the poinsettias, love…okay, everything! Awesome, as always! I just love the poinsettias! They are just beautiful in so many way!! I love the new die cut words and stamp sets. This release has been full of warmth and inspiration! Such a great collection to finish off the release – but the poinsettia dies have to be my favourite! Apparently, I have a weakness for poinsettias also. I liked what everyone did with the Wonderful Words die cuts, but my favorite was Erin’s magnetic snowman ensemble. Each and every day, something more fun than the last! Looking forward to many fun projects with your new products! These poinsettias are absolutely GORGEOUS!!! I, too, love the graduated pink poinsettia – STUNNING!! LOVE!!! The new inks look awesome too! I’m loving this release! Love the new 2011 tags….ever year your set impresses! LOVE the pink and grey “jigsaw” felt piece — what a clever way to use any dies, but especially the words dies with all their eye-catching nooks and crannies! What a treat that this was a group post day. The inspiration and ideas just keep coming! What wonderful inspiration — oh how I wish these items were all here right now — I’d be having a perfect winter storm right here in my own craft room — sigh! It would truly be the “perfect storm”, I assure you, with all the fabulous inspiration you & your AWESOME DT have blessed us with today! TFS! For now it will have to be the perfect dream. I knew that this release would be a stellar one. All fabulous and has managed to get my Christmas mojo going. 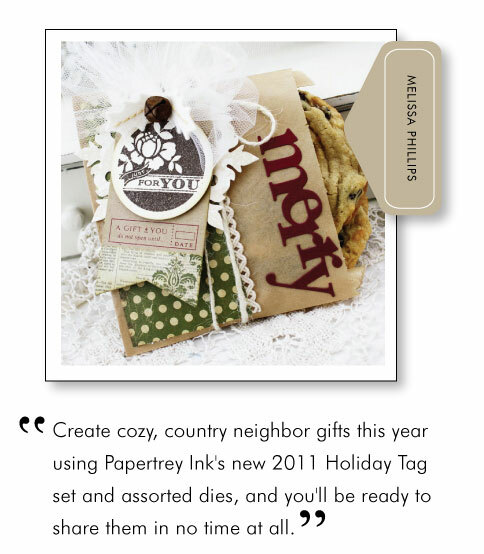 So excited about Holiday Tags 2011 and the new ink…oh and everything else being released. Gosh I have so enjoyed looking at all the DT’s work. Thank you for the inspiration. GREAT new dies, fabulous new stamp sets (love the new Xmas tags), new ink pads. There is not one thing I do not want – greedy me – but the poinsettia is my favorite. Another wonderful release with terrific new ideas to work on! Thanks so much! Love the new holiday words die cuts! What a great idea… beautifully done. 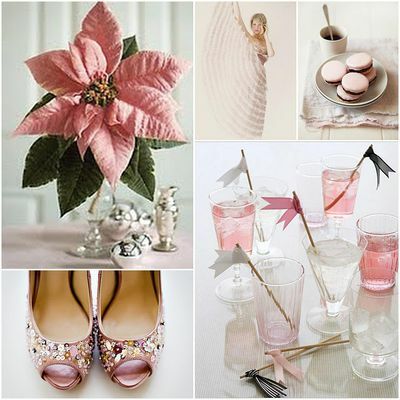 I love the effect of Dawn McVey’s poinsettia in shades of pink. All of the new dies are great! I love the look of the wonderful words set and how they are joined together. The new tag die is a must have too! Great ideas as always!!! AMAZING release!!! WOW oh WOW my jaw was a dropping at each picture!!! Can’t wait to make up my Christmas “wish list” !! I absolutely love this release and today’s are my favorite. I love everything you made! This has got to be the hardest release to pick from – narrowing it down to a manageable order! How could anyone ever run out of things to order from PTI!? Love your company and products! Love all the pretty new Holiday tags! Can’t wait until tonight! The cards are beautiful. Love all the new dies! The only problem I can’t keep up from one release to another on what I want. The die cut words add a whole new look to a card! Thanks for sharing today. See you tonight! I am IN TROUBLE! I think I need all of these! Sooo cute! I am so excited about the word dies and stamp set and that I can get them both for $23, which means more money for other things on my list. All your cards are so wonderful Nichole. I just love looking at your art. The first time I saw the sneak peak of the poinsettia i was sold. The more I see project with it the more falling in love with it. I love everthing featured this month. Can’t wait to order!! I love everything you’ve shown today. I really love the Wonderful Words: Holiday dies and stamp set. So versatile. Another fabulous release! 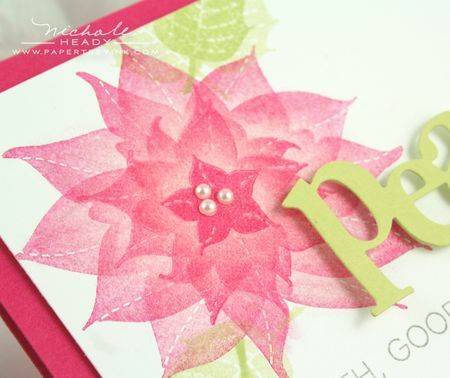 I love, love, love your poinsettia pin and the layered pink poinsettia that you stamped on a card! While I enjoy the traditional red poinsettia, the pink always steals my heart…especially if there is some shimmer involved! Ooooohhh…. the wonderful words & poinsettia look like a lot of fun! Wow- looks like everyone really liked the Wonderful words, and as always, the felt quality really shines through…The poinsettia is beautiful too. Those die cut words are just AWESOME! I’m in love! I can’t wait to see them all. I love all of your projects!! Great font chosen for the holiday words. They looked fabulous on each of the projects. And your pink poinsettia card is exquisite. You were able to give it so much dimension without adding mailing bulk. As always yuou girls are a class act and PTI is my fav!!!! I just love the fonts used on the ‘holiday wishes’ tag image. Totally made me think of the Macy’s Thanksgiving Day parade. Although I’m a Canadian, I’ve always loved watching the Macy’s parade and have loved the feeling of magic that the parade and the entire christmas season envelope us all in! Perfect!!!!! Absolutely adore the new poinsettia set and dies! Can’t wait for the release!! What an amazing release this is…for my favorite time of year! I want to CAS each of your projects, Nicole, as they are gorgeous. You always share such different techniques and enable us to buy, buy, buy. Great marketing job! Off to see what the rest of the designers have created ~ woo hoo! I’m really drawn to the Wonderful Words: Holiday dies. I think they are the perfect size and font! The trick with the felt is really cool. Love that! Thanks for sharing so much again for this release! Boy talk about going broke……….Was wondering though if the new inkpads are comfortable for the left handed stamper also? I know we are in the minority but was curious. Great ideas this month. I LOVE the new wonderful words dies and stamps! The projects were FABULOUS! I can’t wait to start making my Christmas cards! Thanks for a great release this month!!!! How will I ever choose? I am inspired by all the creations and can hardly wait to start on some of my own! I’m so in love with the large diecut words, I’m thinking of making felt cup holders with the words in them, Yeah! I’m so excited!! I can’t wait to get all the goodies!! Amazing projects again! I really love the holiday word dies. Be still Oh my heart!! Can’t wait to try the Wonderful Words with the felt! The word Wow just doesn’t seem to cut it! And new ink!!! Can you say YEAH!! I’ll bet you ladies are soooo relieved that the new inks are finally rolling in so you can quit worrying about them! such cute new supplies and stamps! I love Christmas, so I love it all, especially that Holiday Wishes Tag. Beautiful projects! There is so much this month! Oh, I just love the new Wonderful Words and coordinating stamp set! They add such a fun element to tags and cards. And I’m very excited about the new inks – can’t wait to try them out. Kudos to the DT for all their wonderful projects this month! They are amazing! What awesome projects! Love those dies!! Love the pink poinsettia card that you made. I really like the Wonderful Word Holiday Stamp and Dies. They are great. I just love all of the releases. Christmas is my favorite holiday. Another fantastic release. I love the Poinsettia stamps and dies. What fun. The new addition to the Tags line is great, I have the others. Wonderful new stamps and dies. I like the poinsettia dies the best. Thank you for sharing. Amazing! I can hardly wait for the holidays now! The poinsettia is gorgeous, and I’m loving what I’ve seen of the new holiday tags. So much to choose from this month! This is so cool! I love the first card with the felt sentiment – WOW! And the poinsettias look so pretty! There is not one of the sets that I like better than another. They are all truly unique and makes it a very difficult choice. I believe that this has been the BEST Christmas Holiday release ever. The poinsettia stamps and dies are soo nice. Perfect for the coming holiday season. Sooo looking forward to this release. All of the designers amaze me monthly with their ingenuity and creativity. You’ve really outdone yourselves this month! Thank you! I am so excited about the new ink and I can’t wait to try it! I love the unique shape of the pads with the narrow end option for smaller areas. 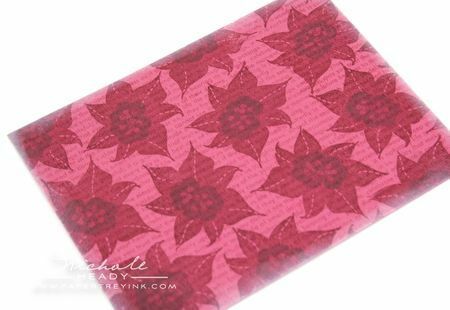 Stunning poinsettia background paper and pink poinsettia card! I love the Wonderfulo Words die and stamps, I can’t wait to start using these! Complete wonderfulness Nichole!! This release is blowing my mind!!! 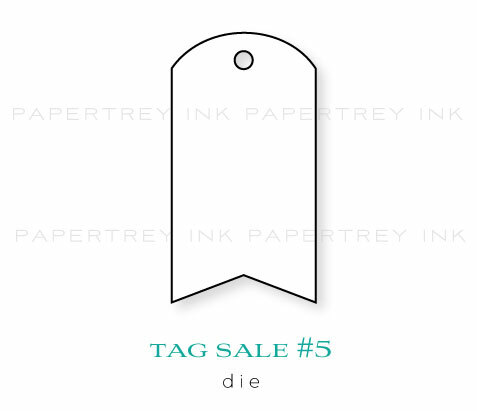 I’m so excited to see the new Tag Sale die! The Holiday tags are absolutely beautiful! So many fantastic ideas! Oh I just love your Wonderful Words collection and all the cool things you are doing with felt these days. And your INKS are finally here – WOO HOO! What a release! How do you always know what I need, long before I do?? Love the Wonderful Words additions! Every thing you shared is so beautiful. I like how you used the scraped felt as part of you project on the holiday greetings card. The poinsettia cards are just dreamy. Thanks for sharing your gorgeous creations. All of this is spectacular, what a great release! I think these are my favorite Holiday Tags yet. And I love the colors of the poinsettia pin! I’m making my list and checking it twice. So many beautiful products this month. Wow–those holiday word dies are amazing! I’ve never seen anything like them. My wishlist is huge now! I just love this month’s release!! I am really impressed with the pointsettia dies and the set images. Also, I have wonderful words first die so this new one will sure to be mine. Thanks for all the inspiration!! Getting excited to craft for Christmas!!! beautiful dies just keep coming from pti! i love the professional look they give to my cards and projects. looking forward to adding quite a few of them to my collection! The wonderful words are just lovely and the card with the poinsettias in scarlet jewel and blush is just gorgeous. Thanks for the group post and all the beautiful projects! Thanks also for this chance to win! I do love the tags! And the poinsettia dies are perfect for making them for cards and gift decorations! Wow! I love the Wonderful Words set. This entire release is fantastic! Another great release! Will be hard to decide what to get. Am making my list and checking it twice. And who said I had all my Christmas cards done already?! These sets are fabulous! Everyone’s projects this month are wonderful. I can’t wait to get my hands on all of them. It is going to be very hard not to hit the “Buy it All” button this time. Oh my poor bank account. Absolutely love the projects! If only I had more time to sit and craft!!!! The new wonderful words dies are so clever and will add some much to any project. I am definitely looking forward to seeing all the new tag images too! Absolutely stunning! MY jaw has dropped! The felt projects are big fun! Amazing! I love the Poinsetta set and the dies are fabulous! Thanks for another great release PTI! You never dissapoint. Love the poinsettia die – so many layers really just make it so beautiful. Reminds me of going to our local nursery every Christmas to pick out just the perfect poinsettias to decorate the house with…I LOVE Christmas. This is the best release day! Love that you’ll have ink spots sold individually (unlike SU’s sets of spots) and love love love the new words dies, grey felt, tag stamps…ahh, all of it! I can’t wait to try the new inks! And awesome projects as always! Thanks for getting the holiday spirit flowing! Wow! Another great day of release goodies! Thanks for sharing such wonderful projects, especially with Wonderful Words. I’m very excited about those dies. Fabulous projects today Nichole! The melon poinsettia pin is beautiful! my word! what a great collection of stamps and dies! I’m loving the layered poinsettias. So much could be done with fabric, paper, felt, more! So sweet. Oh, I love the Wonderful Words Holiday set and dies. So many possibilities, can also work with some of the holiday sets I already have. Very excited. Ahhh, such a beautiful poinsettia! Really love this release! I love the font for the new Wonderful Words! And that poinsettia is so beautiful!! What a gorgeous winter release!!! So many lovely creations!! You make it easy for us to make the Holidays extra special. So many wonderful stamp sets to choose from this month. Love the word dies and all of the other dies in this release. Can’t wait to begin creating! I would love to add this to my holiday collection. I’m loving everything for this release. Thanks for all the great ideas that you give. Love the Wonderful Word dies! must. have. these. That felt holiday greetings card is To Die For! So in love. And here was I thinking I had enough Christmas sets already! Right. I love the Wonderful Words Christmas. They go perfectly with the Christmas Tags and they also are perfect with my other PTI Christmas sets. Thanks for another great release. Your dies keep getting better and better! Thank you for adding them to your line of products….. Since I adore the original Wonderful Words line, my favorites are definitely the Wonderful Words: Holiday. Love that the dies are in a different font for a different look. I hope there will be more Wonderful Words dies in the future. I really appreciate that the holiday tags is only $15 – which is definitely better for my budget. 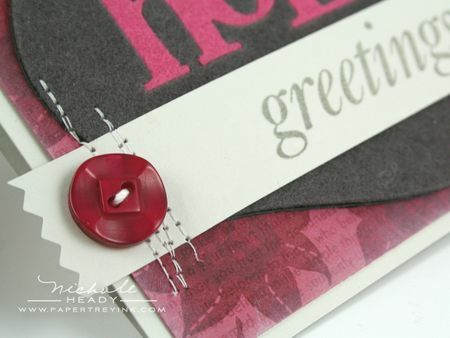 Love the new tag die and that layers with the wine tag die for more versatility. Can’t wait to get it. Thank you for designing such wonderful products and providing such inspiration! Oooo – I love the Poinsettia dies. I can’t wait to make some felt flower pins with them for myself and for gift-giving this holiday season!